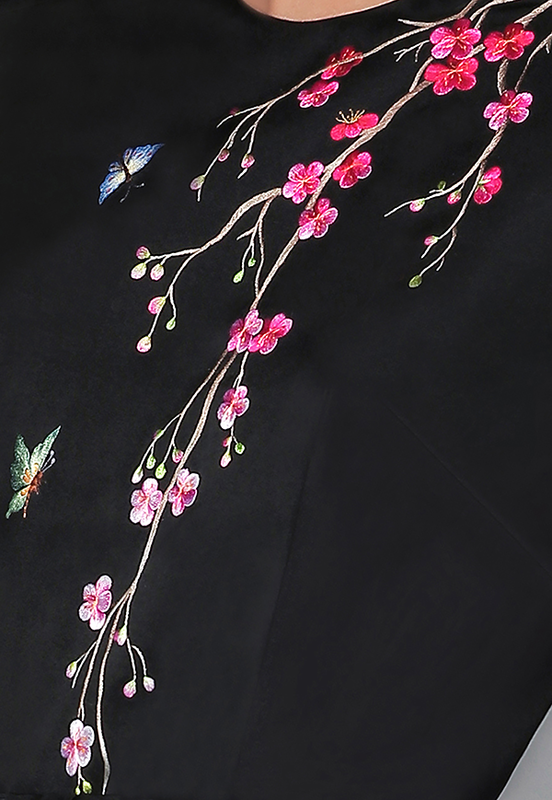 I have always been intrigued and inspired by the power of transformation. 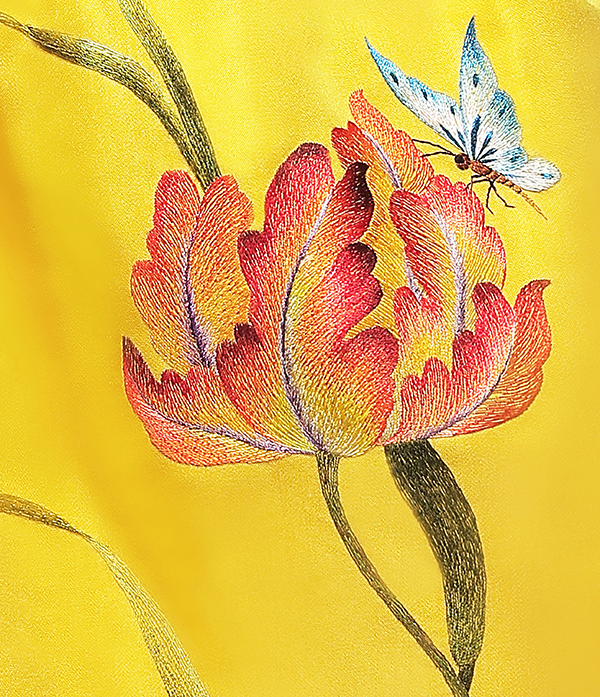 It takes courage, will power, and passion to allow and commit oneself to be transformed. 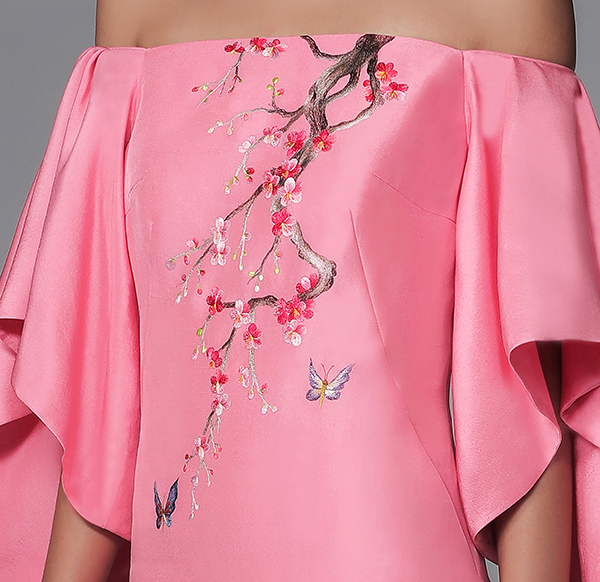 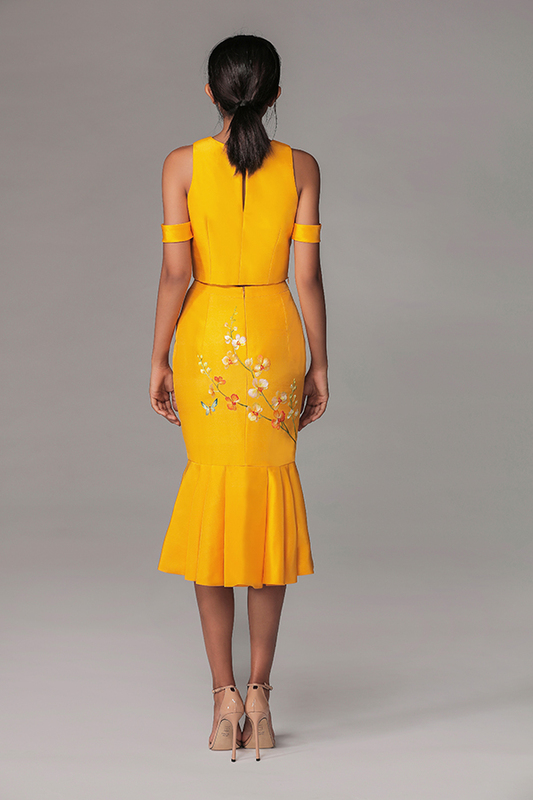 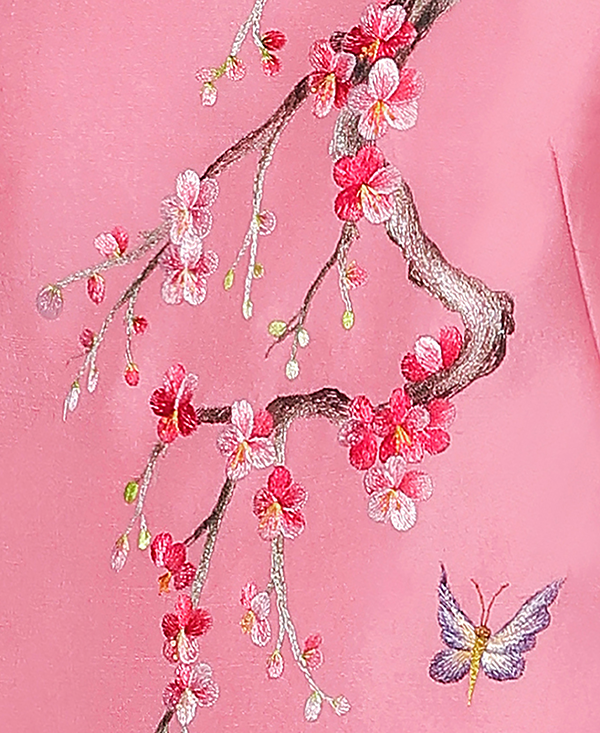 My first designer collection for Spring/Summer 2018 Ready-to-Wear features the butterfly and its journey. 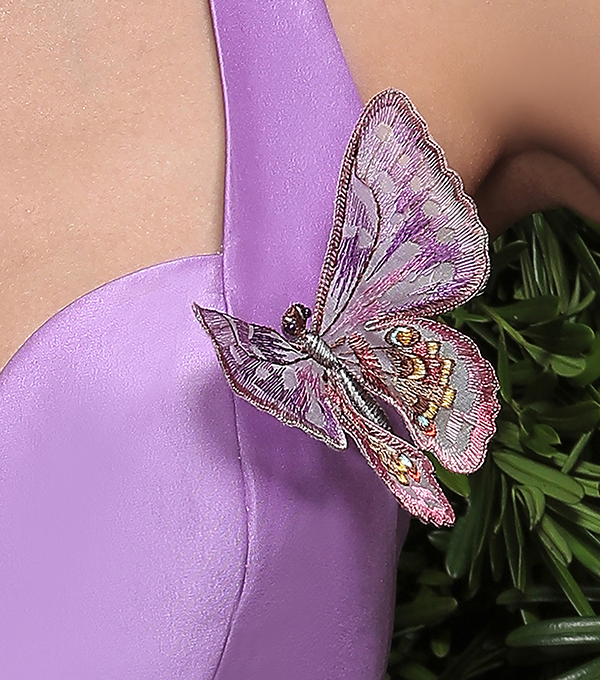 The butterfly’s transformation is often seen as a powerful representation of freedom and new life. 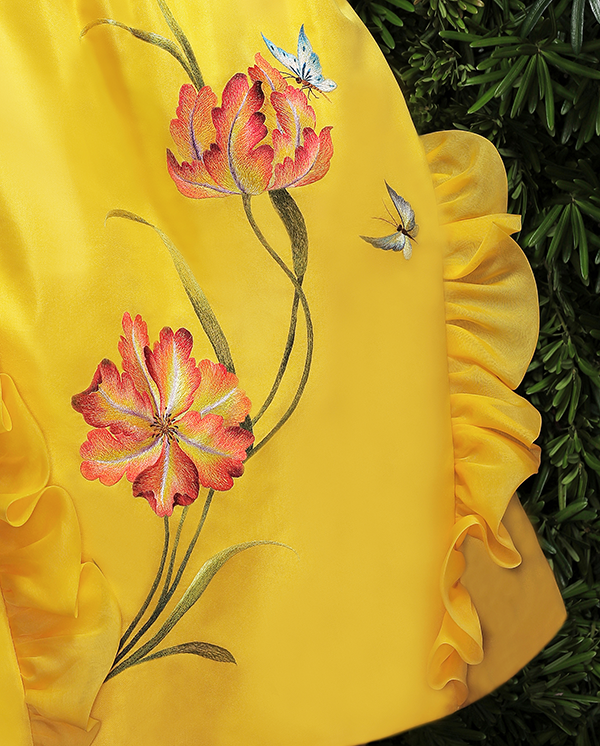 Beyond symbolism, the striking beauty and grace of this extraordinary creature captures our imagination and making it a timeless object of admiration and inspiration. 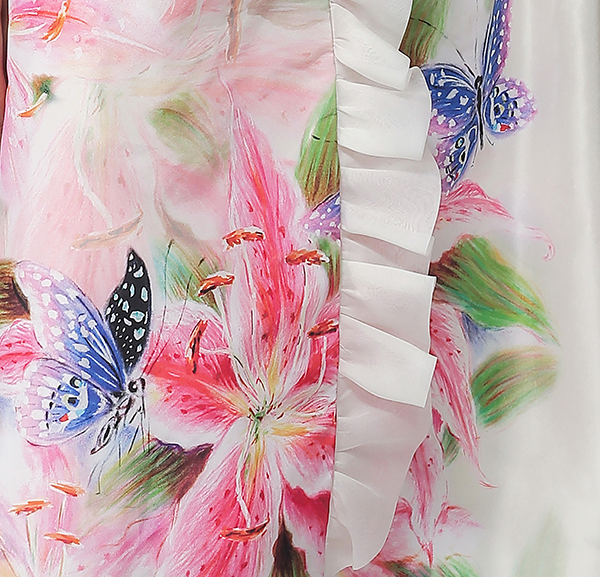 Let us celebrate the butterfly’s beauty: the beauty of grace, symmetry, pattern, color and shape. 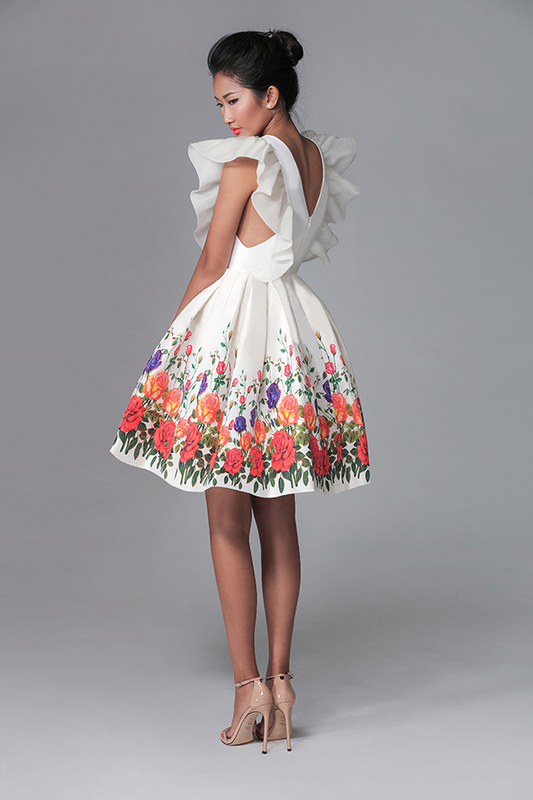 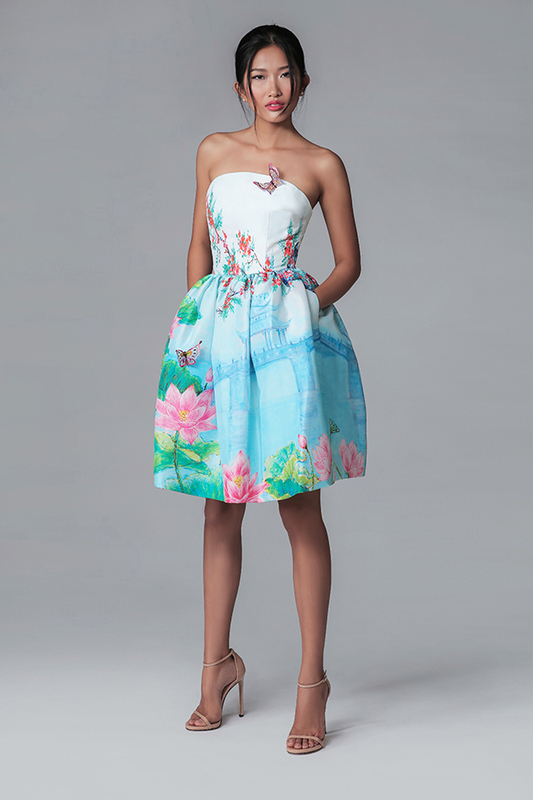 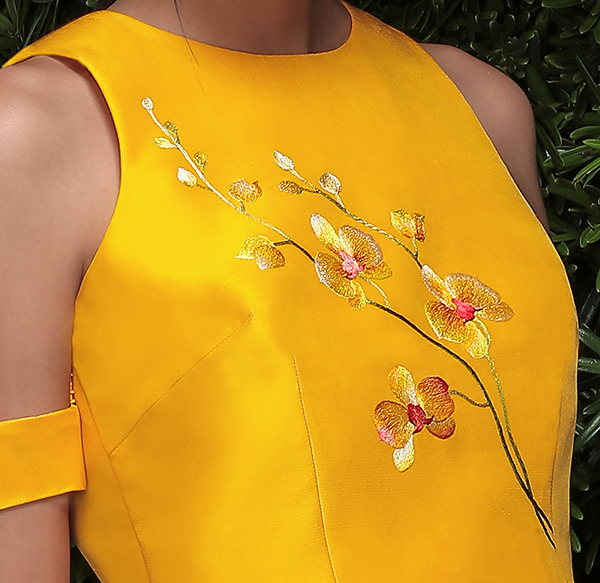 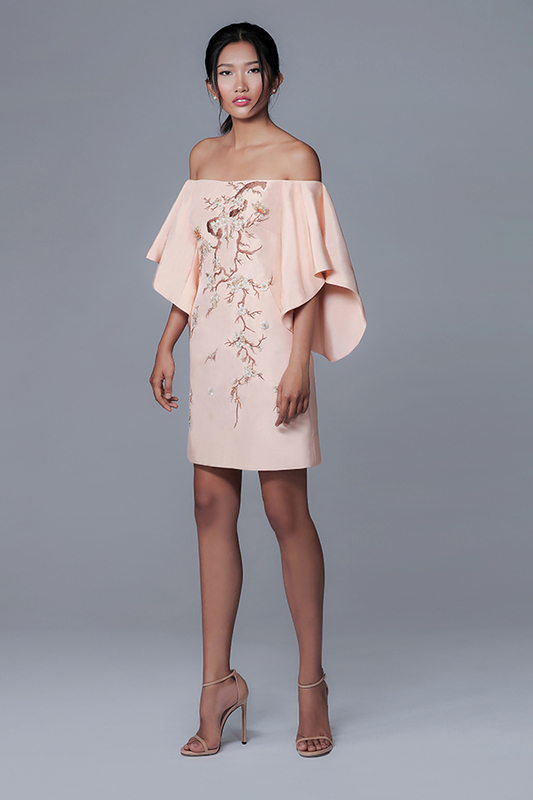 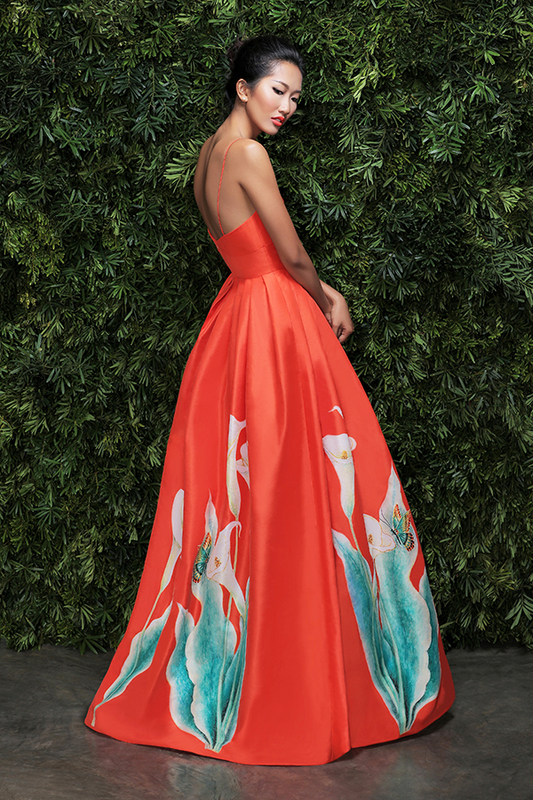 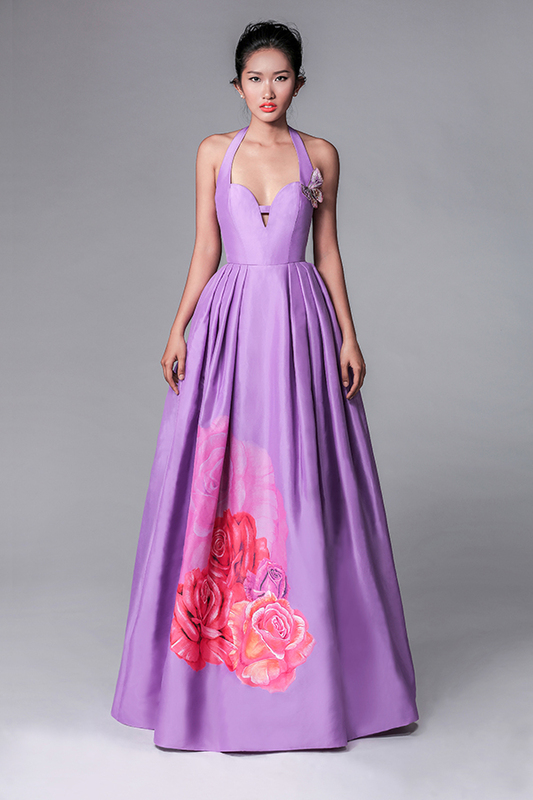 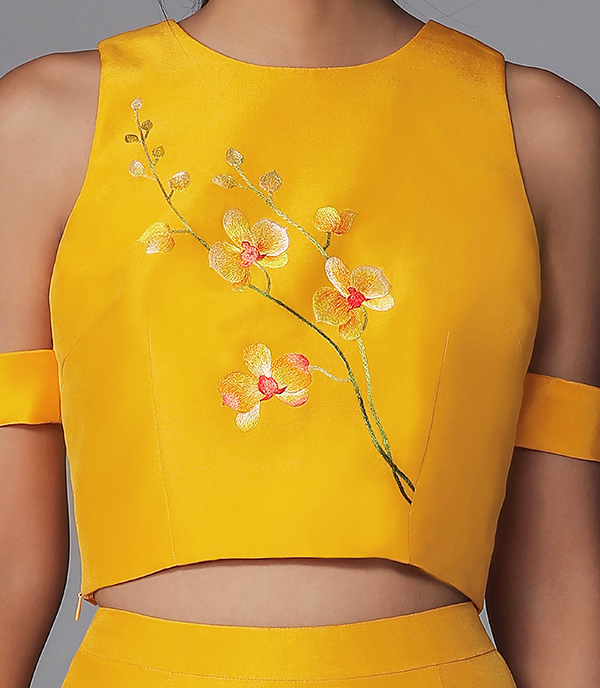 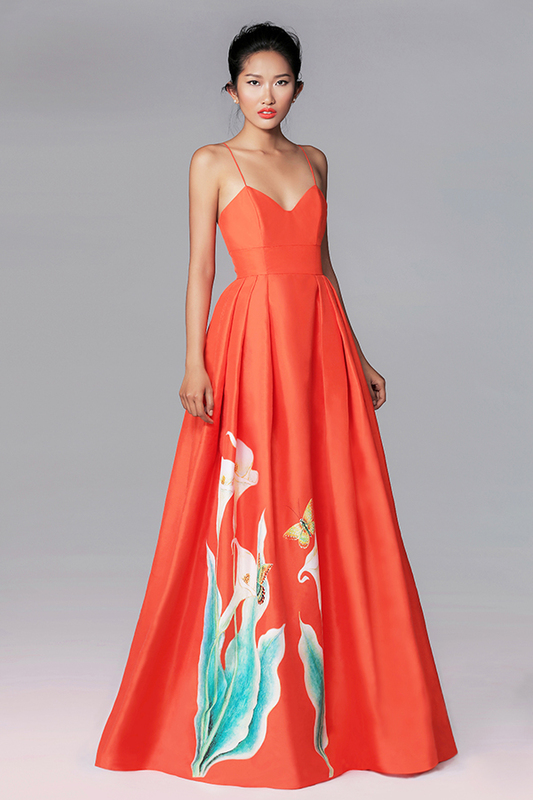 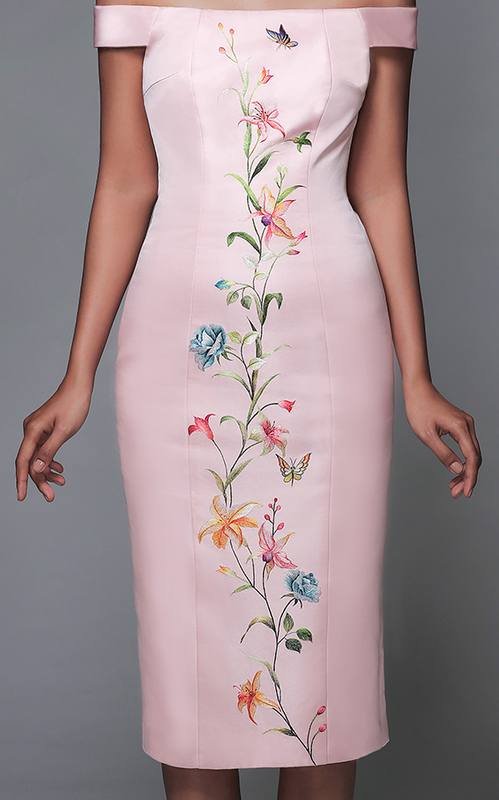 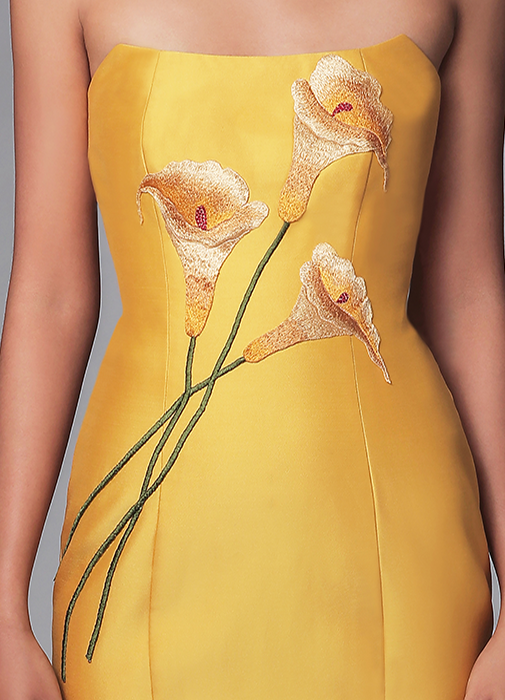 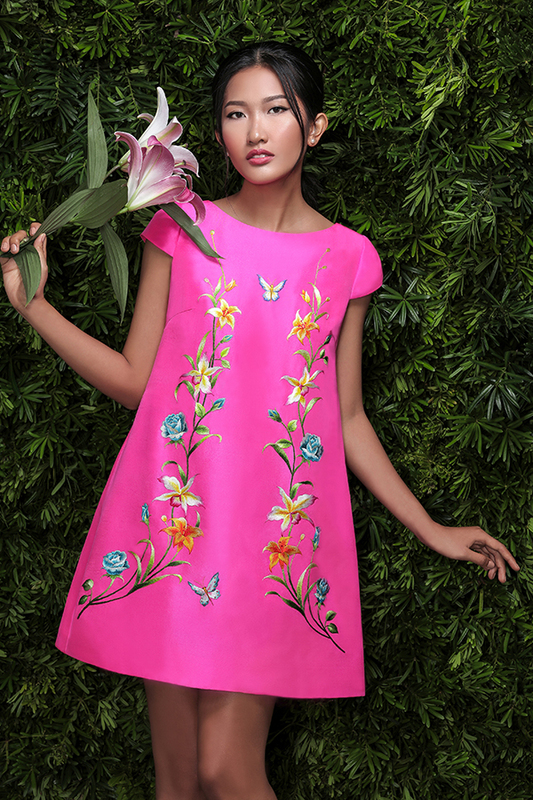 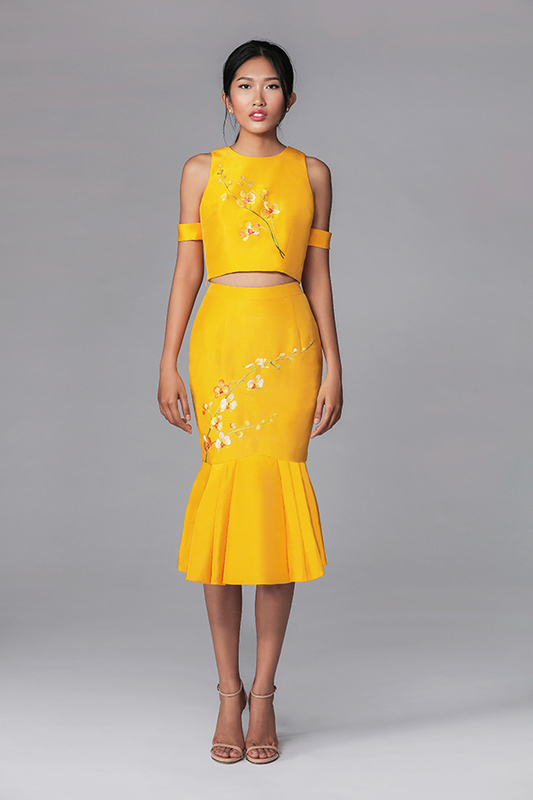 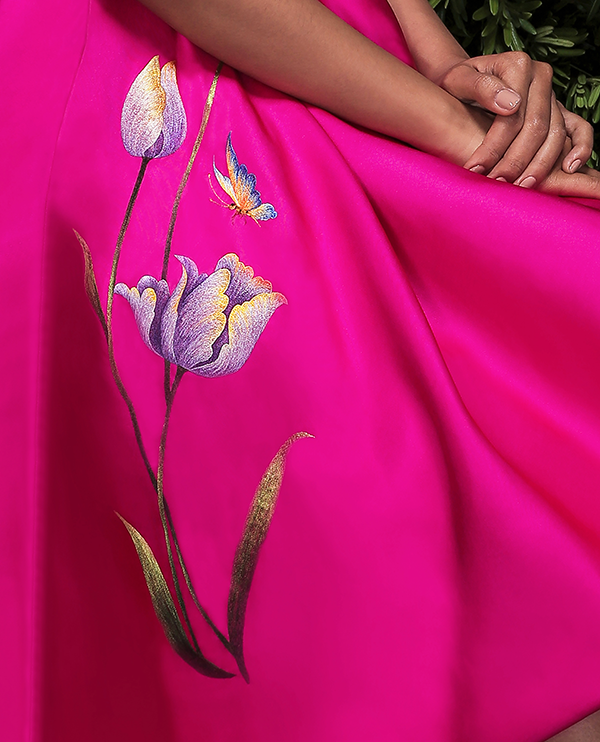 For her Spring/Summer 2018 Ready-to-Wear Designer Collection, Nancy Tran designed, digitally printed, and embroidered original prints onto luxurious silk. 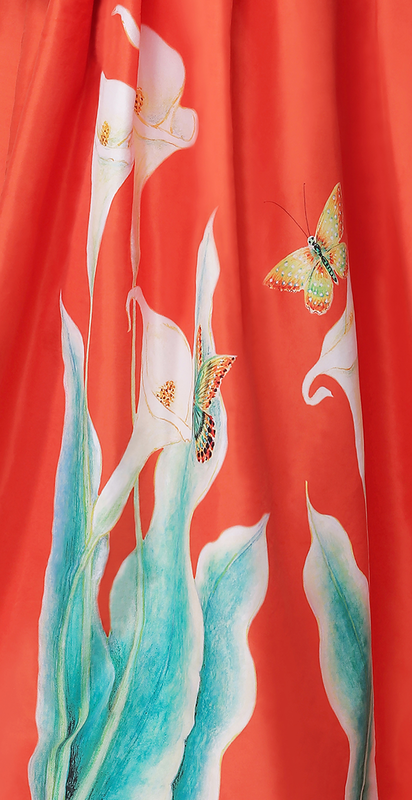 Inspired by the power of transformation, unique images of intricate butterflies journeying to exotic places with floral backgrounds seem to pop out of the fabric. 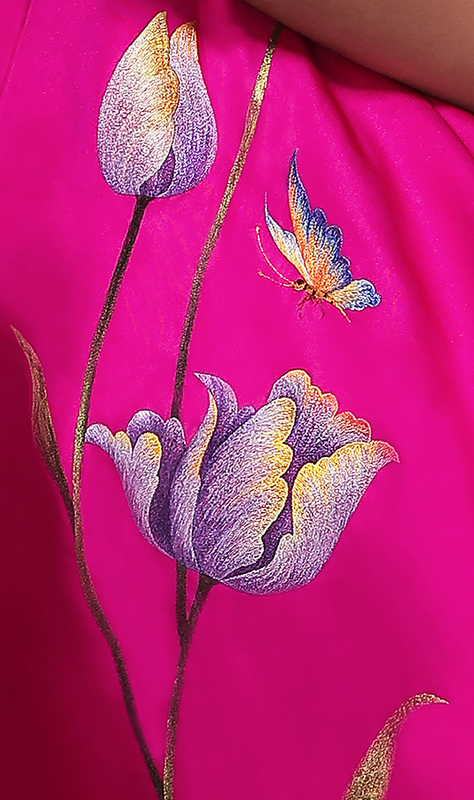 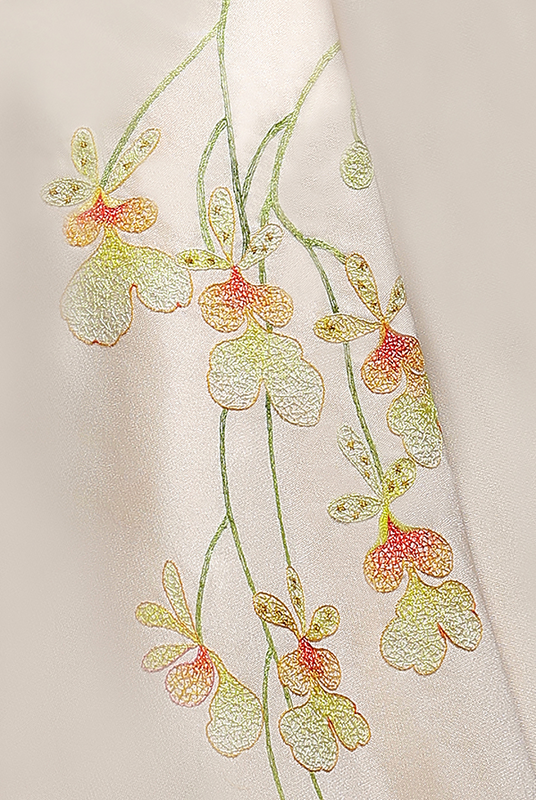 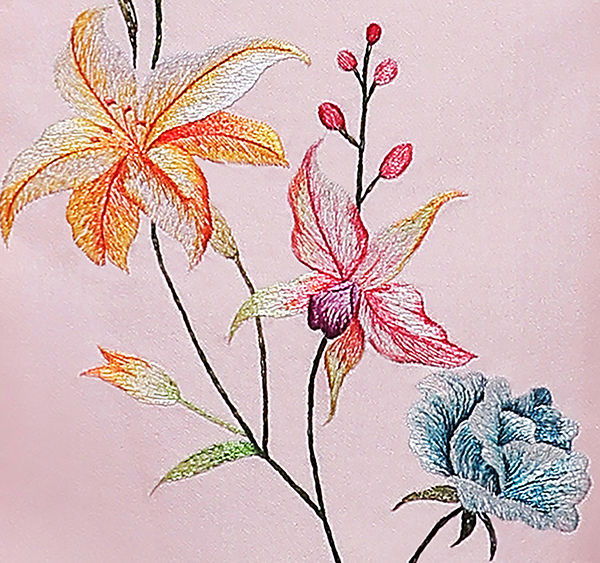 Skilled silk painters created original artwork beautifully displayed on magnificent silk. 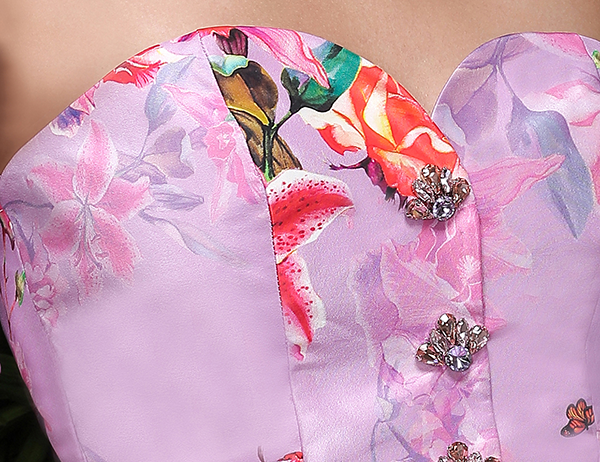 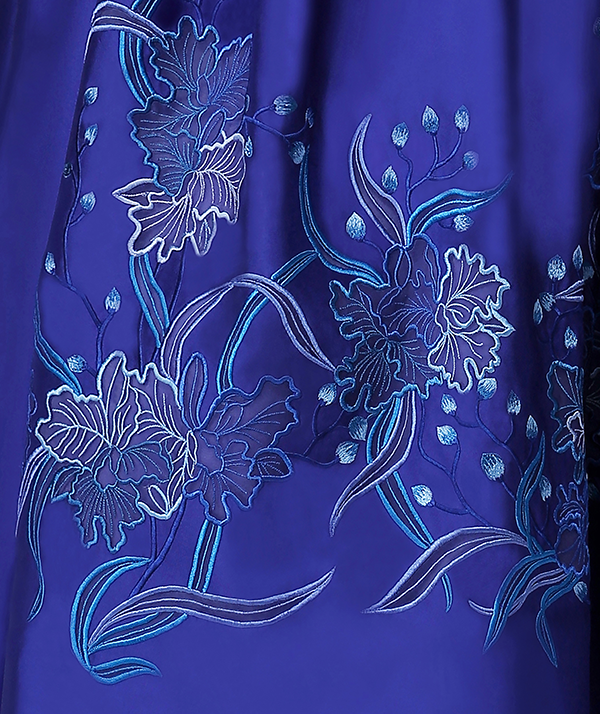 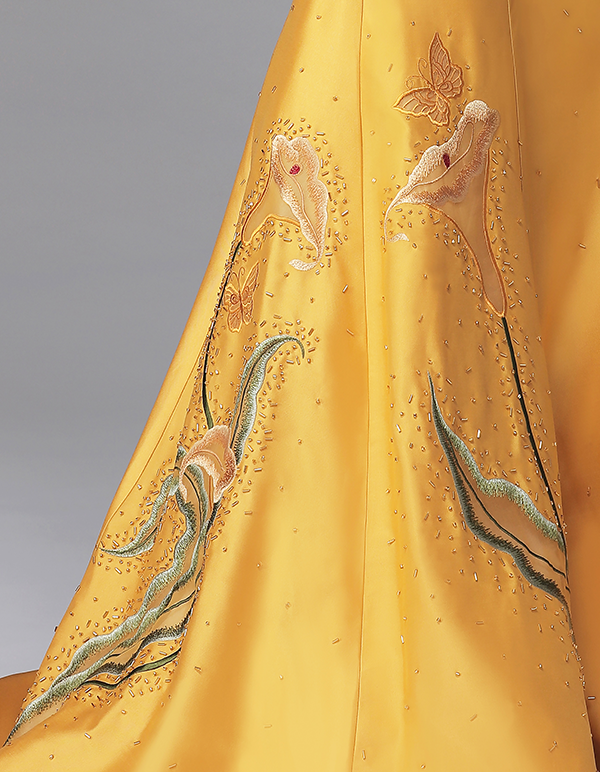 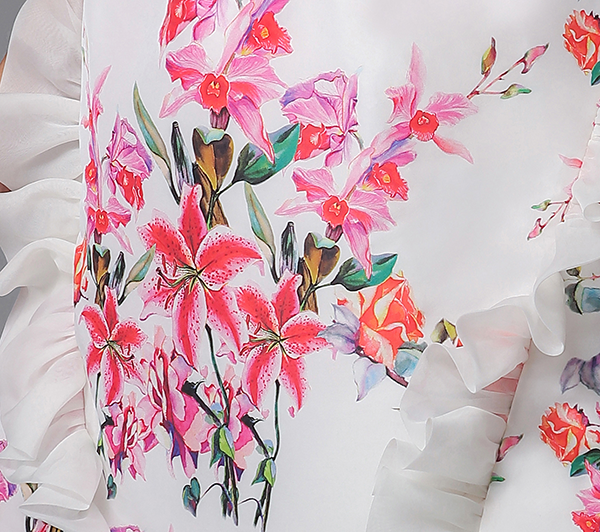 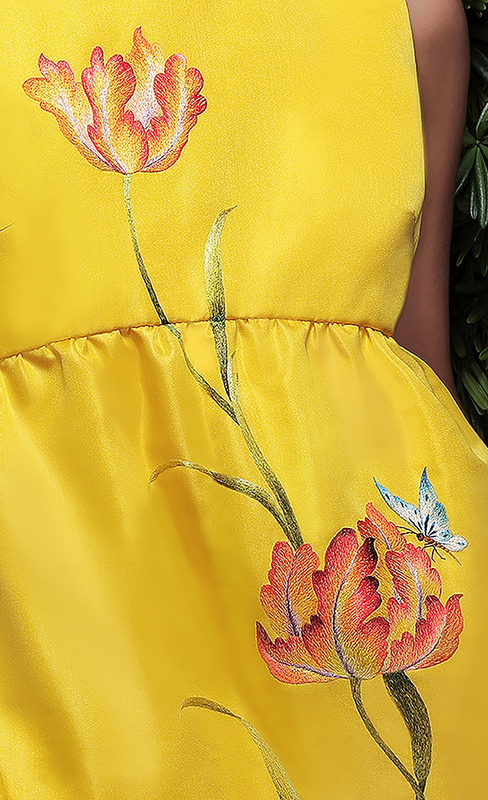 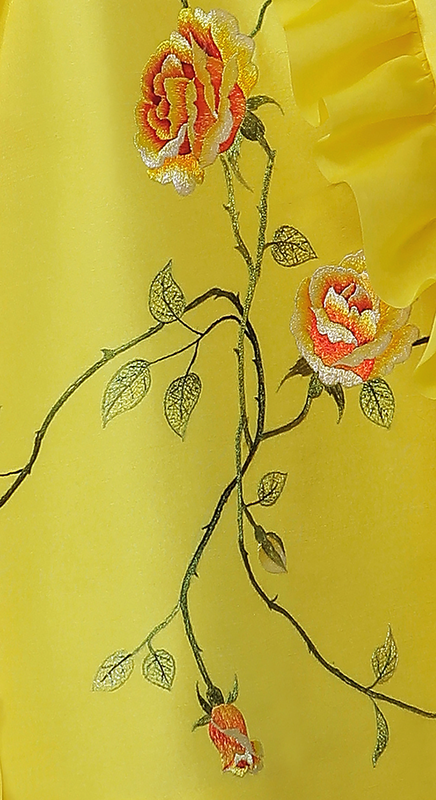 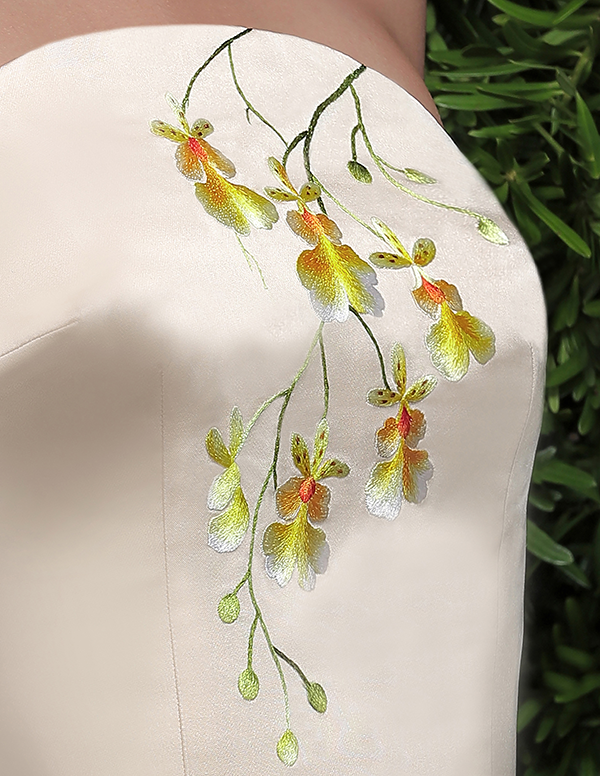 This highly detailed craftsmanship was then printed onto silk taffeta using advanced digital technology in New York City. 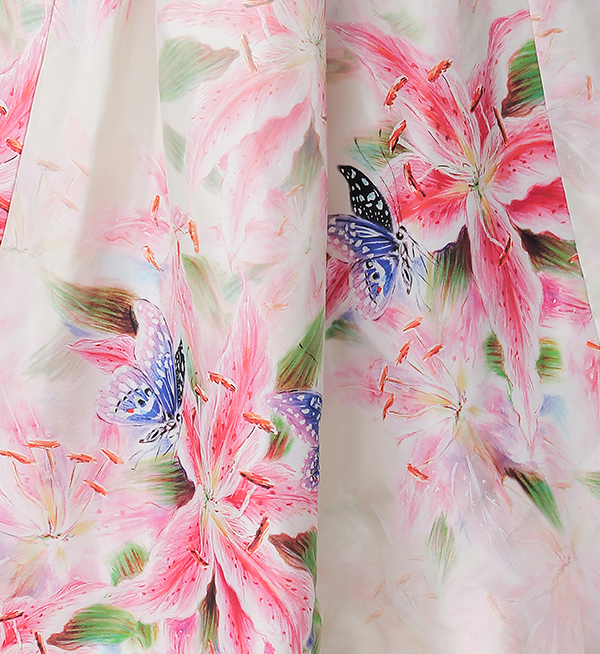 An artistic spirit of freedom and adventure is summoned by these visually stunning prints. 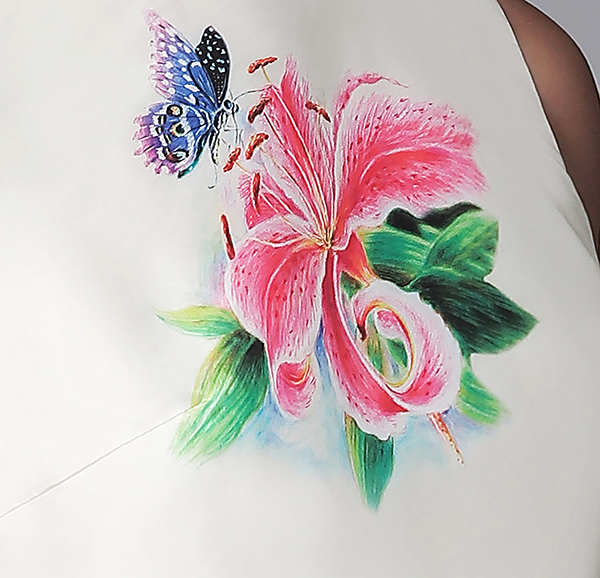 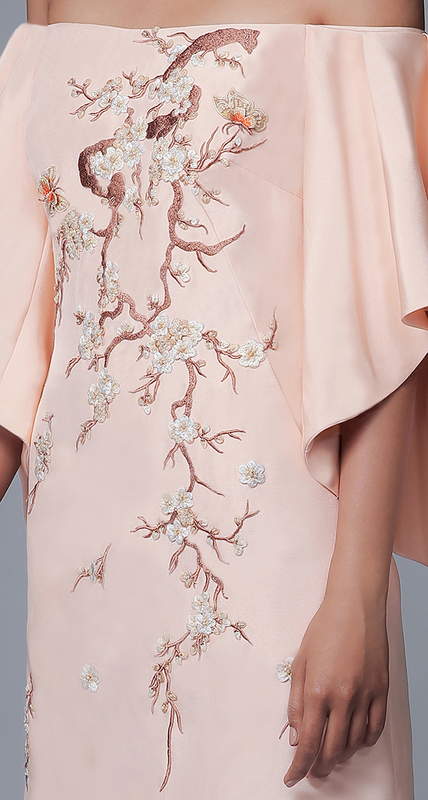 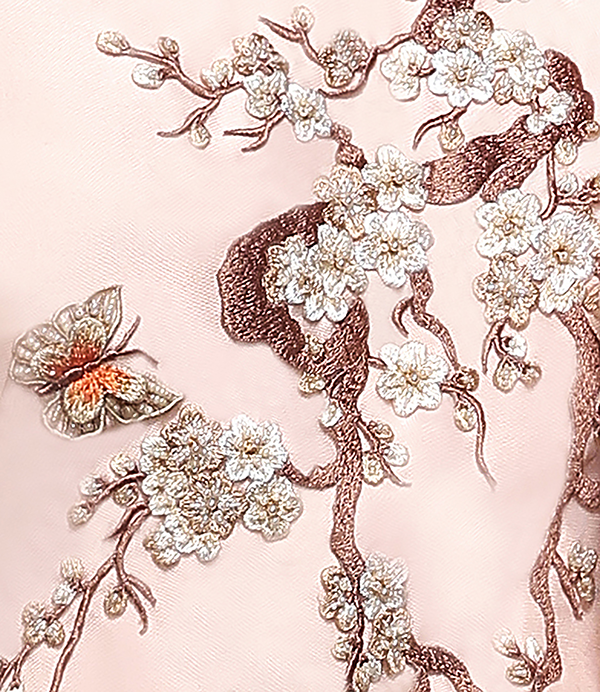 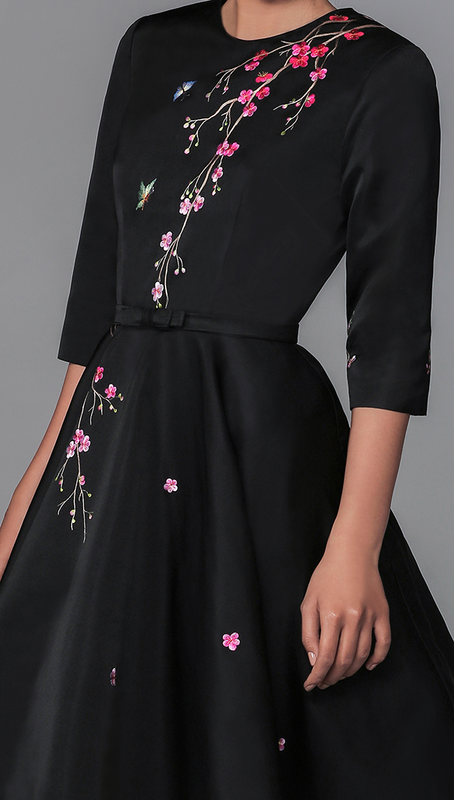 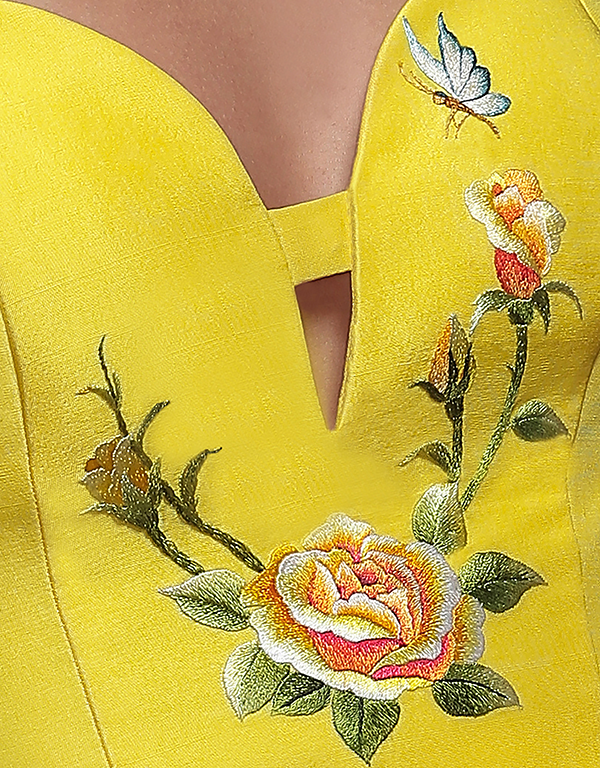 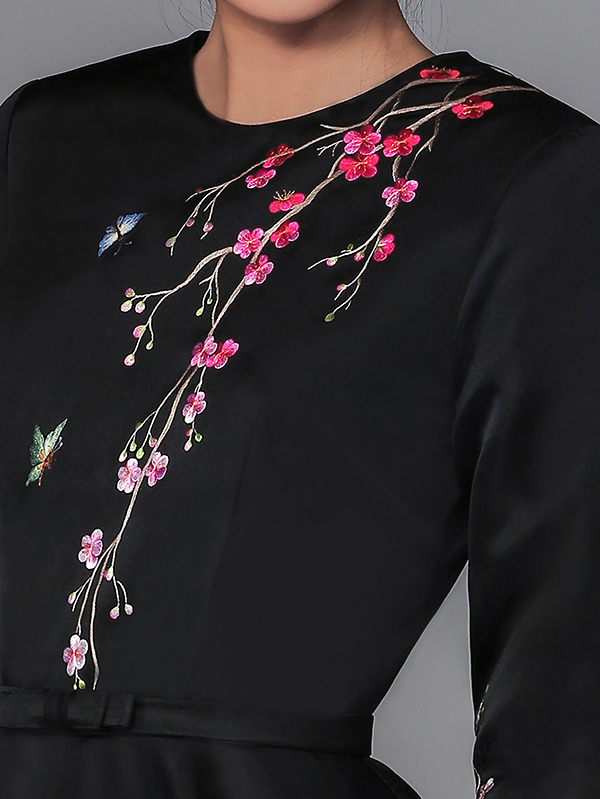 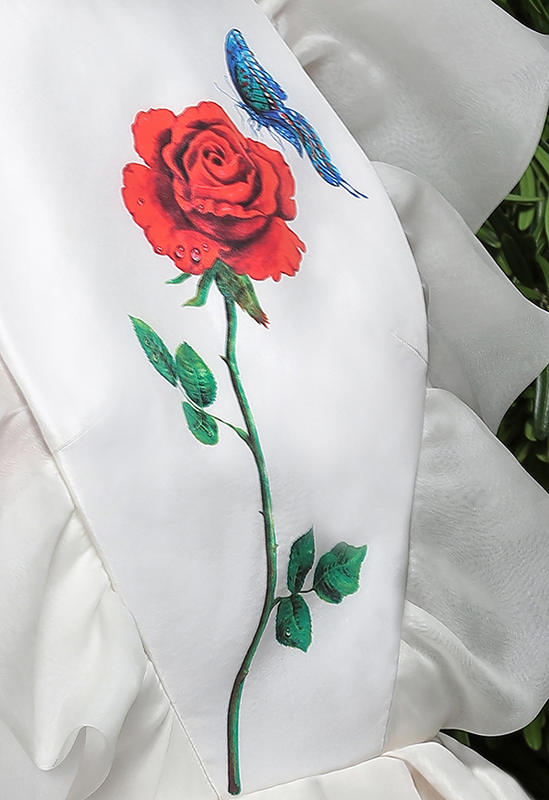 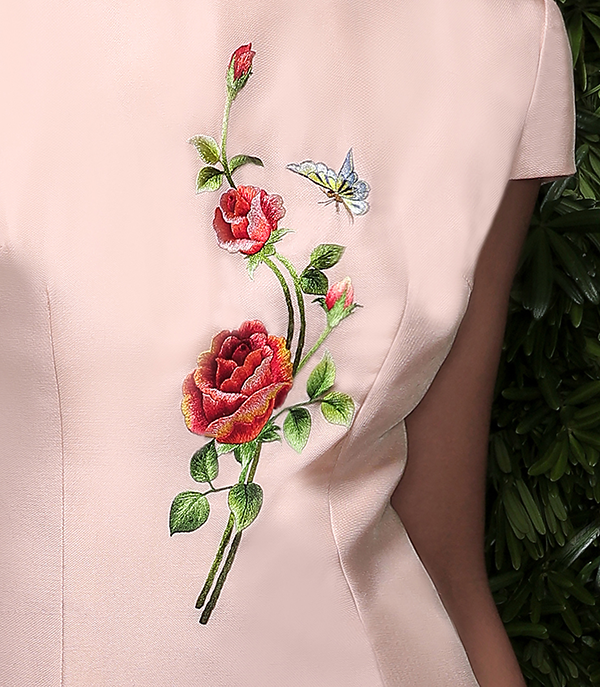 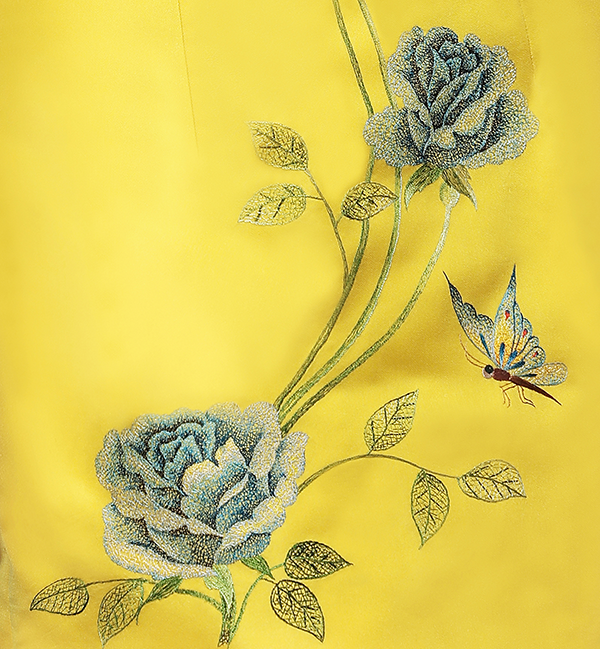 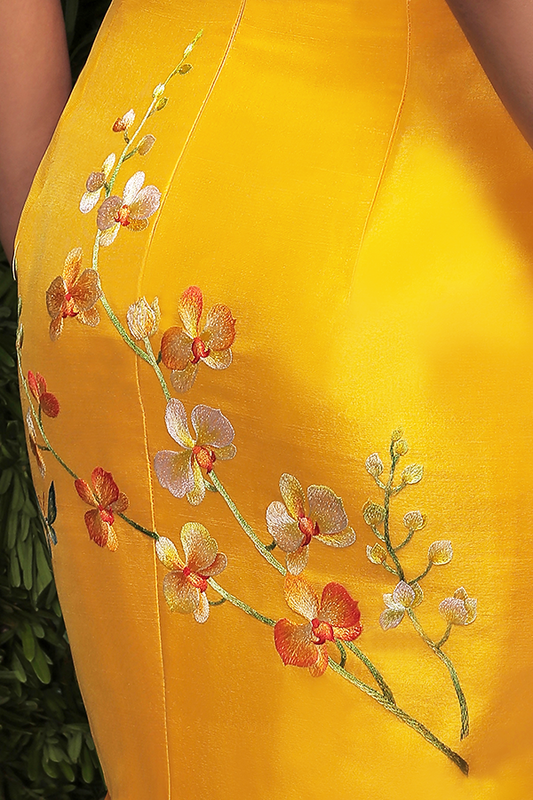 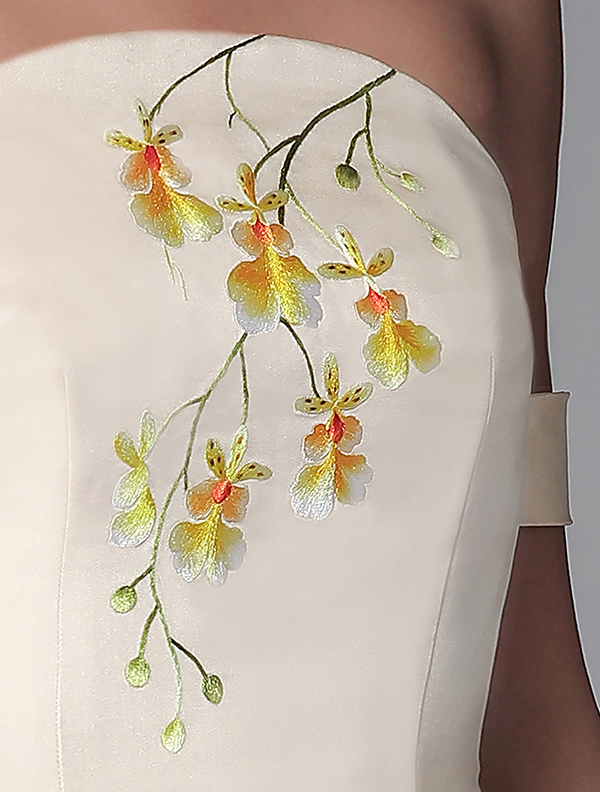 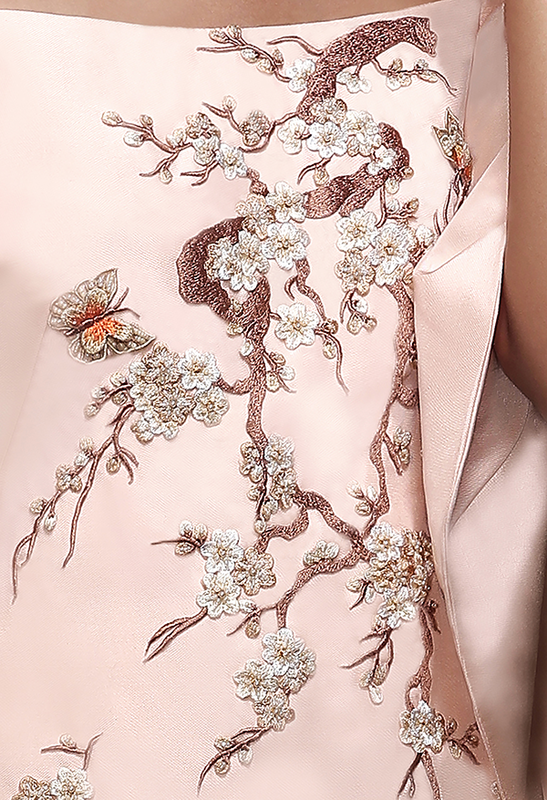 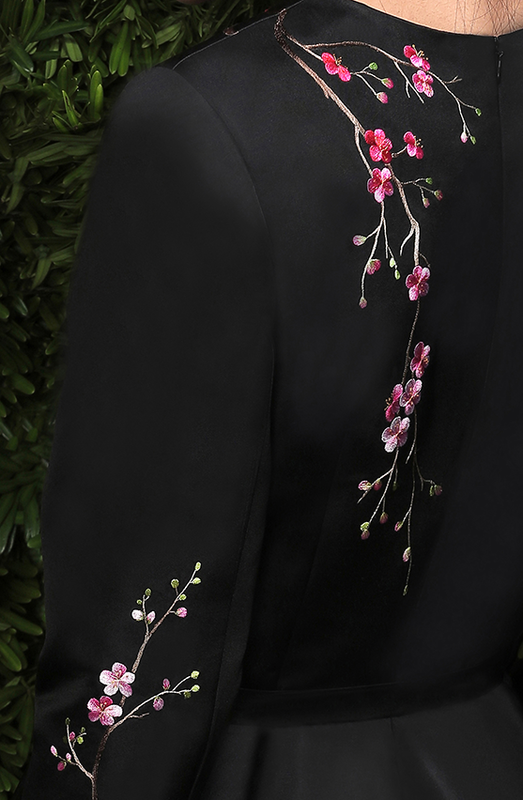 A number of specialized embroidery techniques were masterfully created and applied on the luxurious silks. 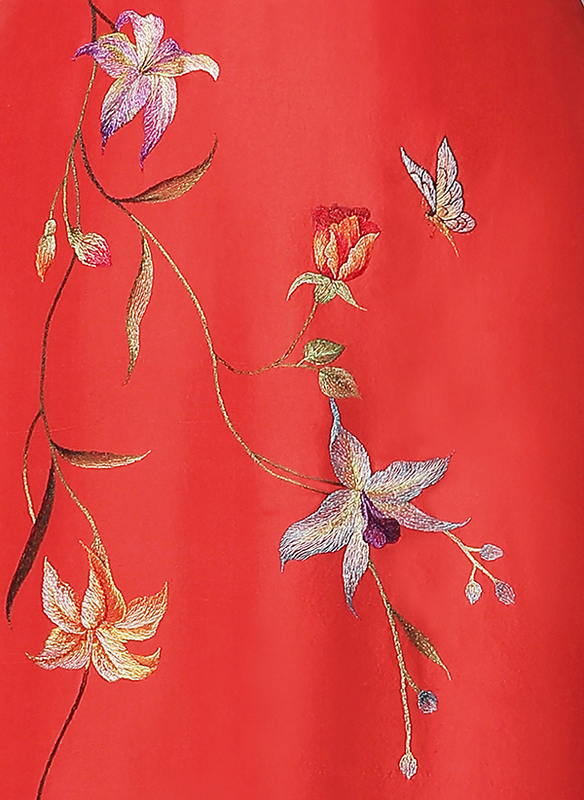 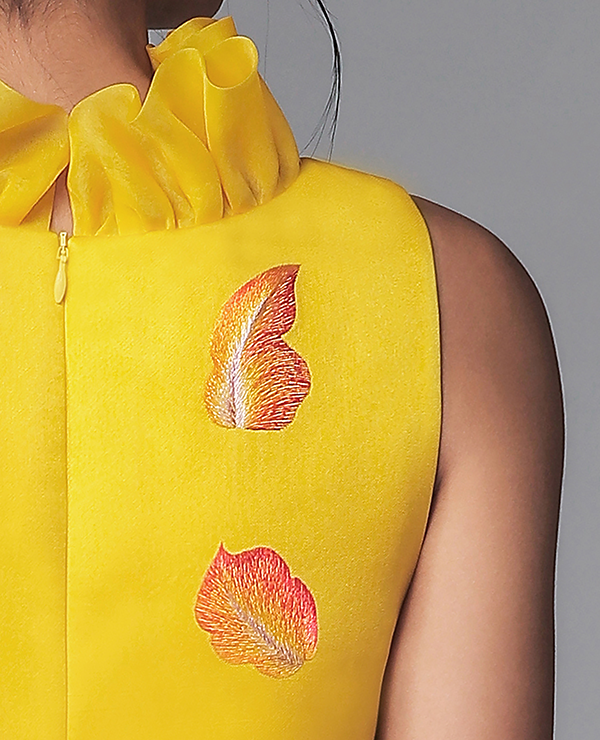 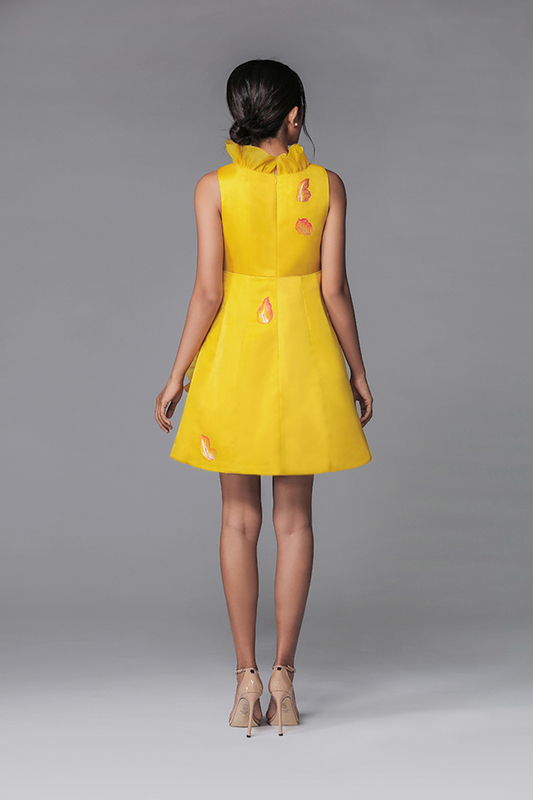 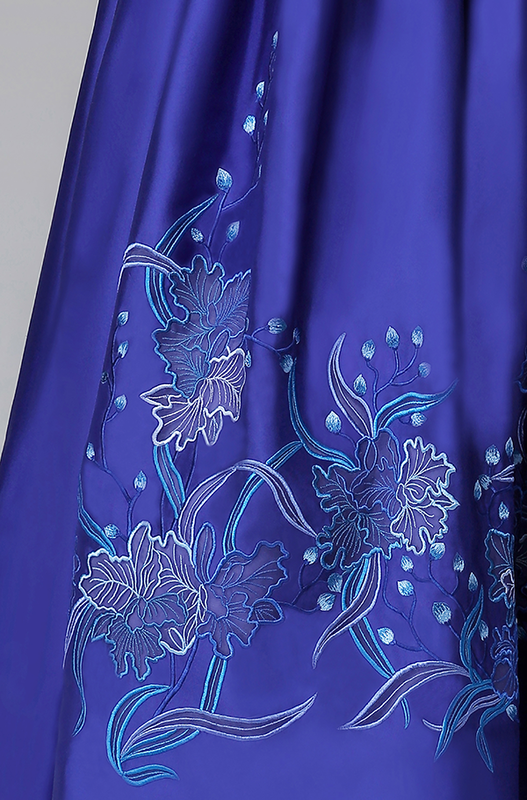 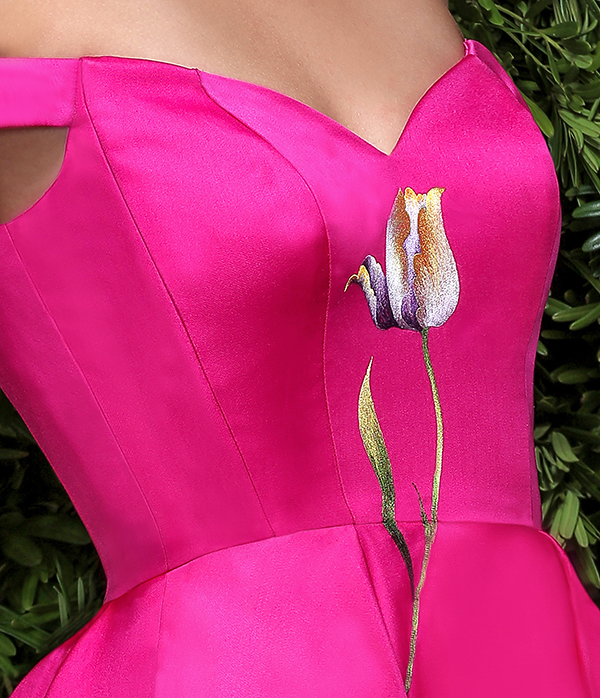 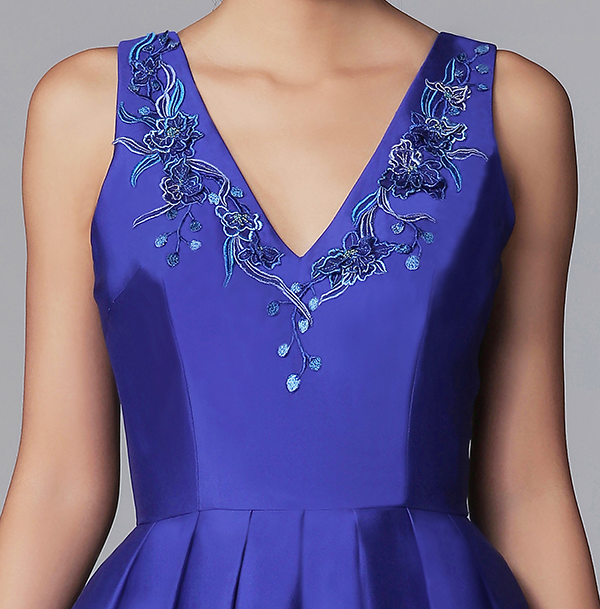 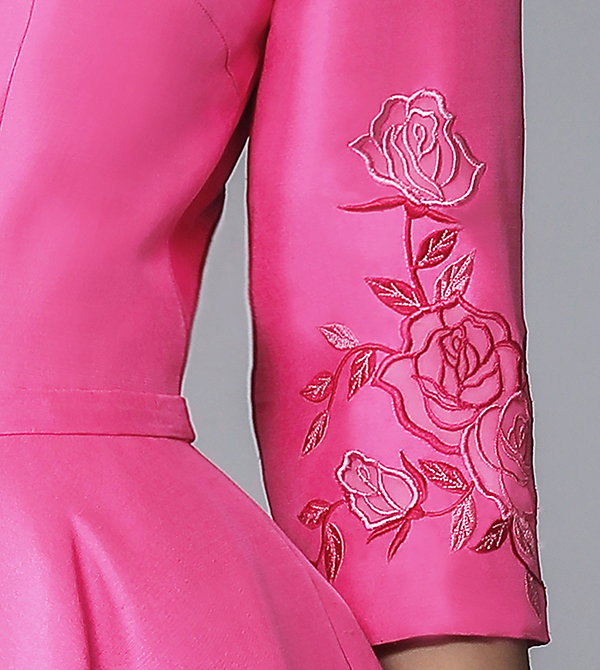 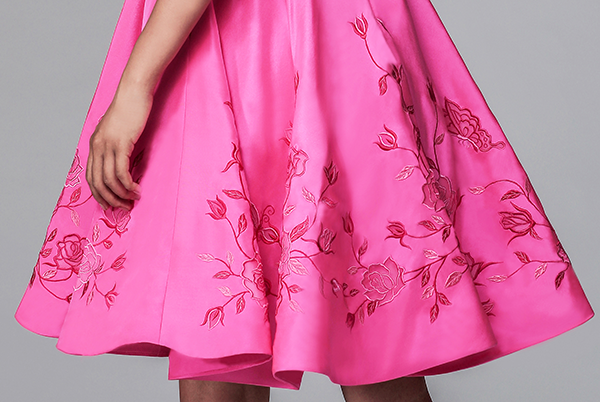 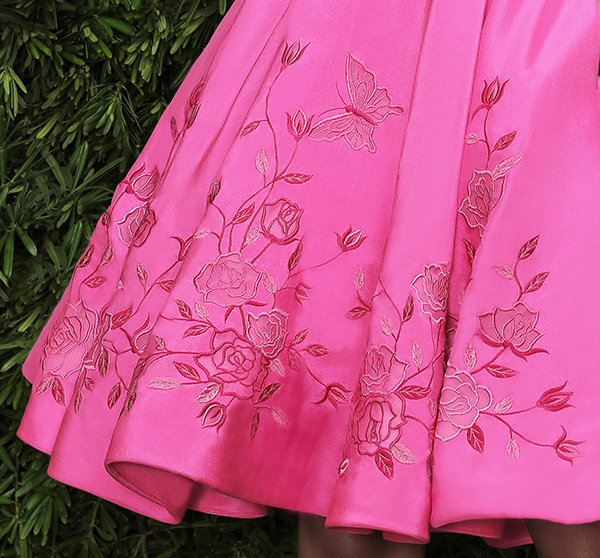 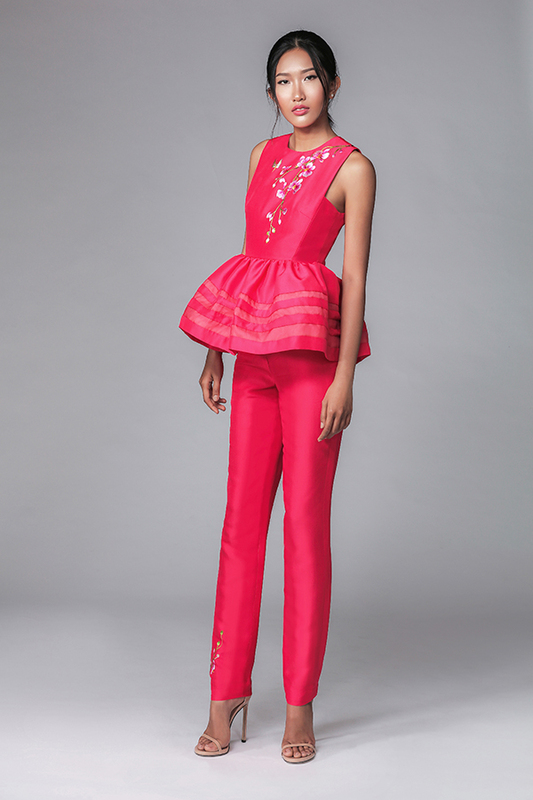 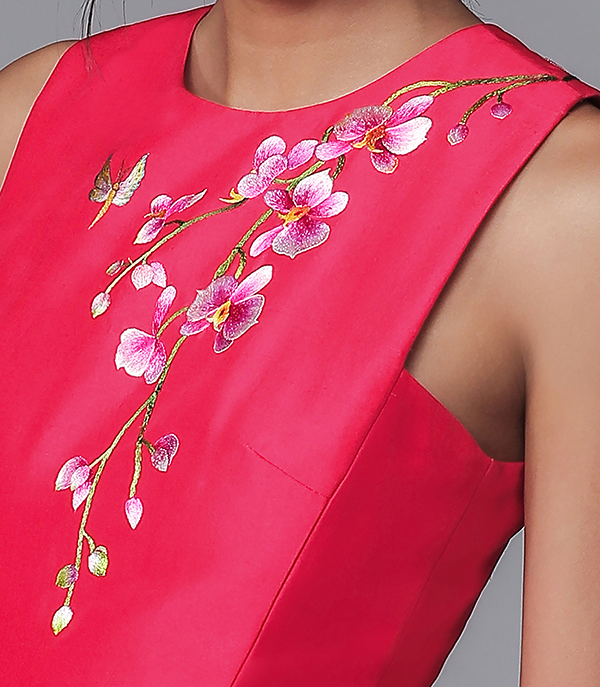 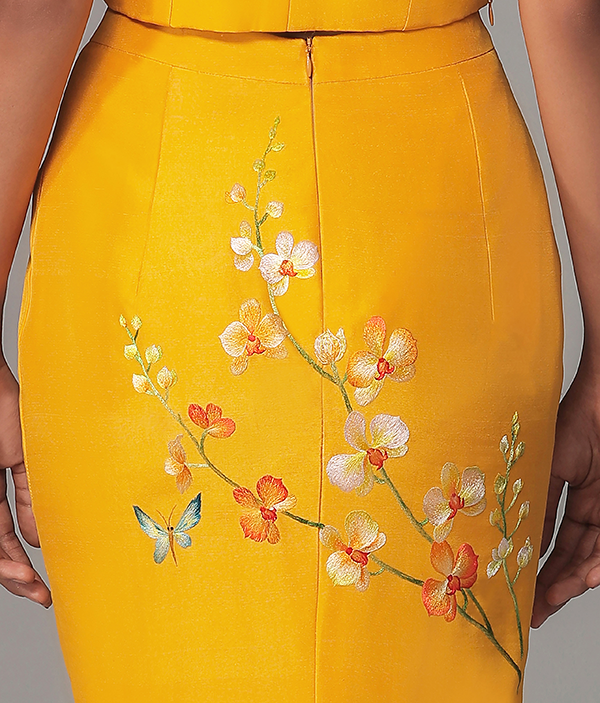 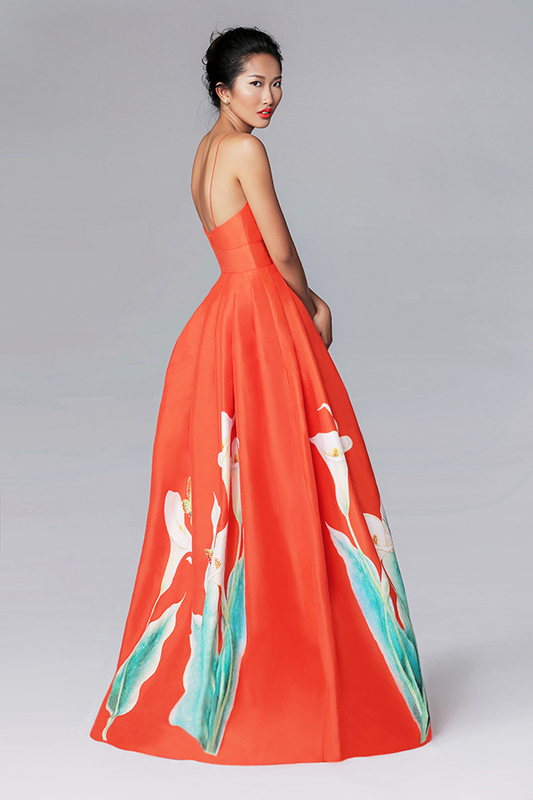 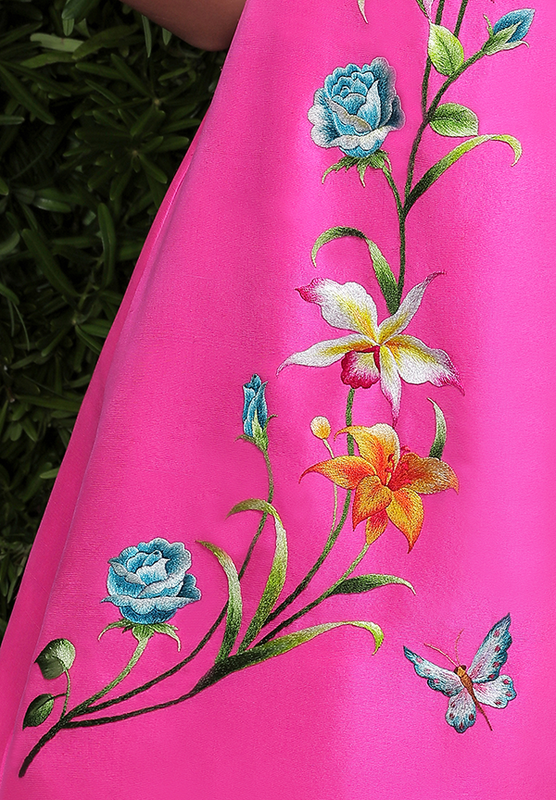 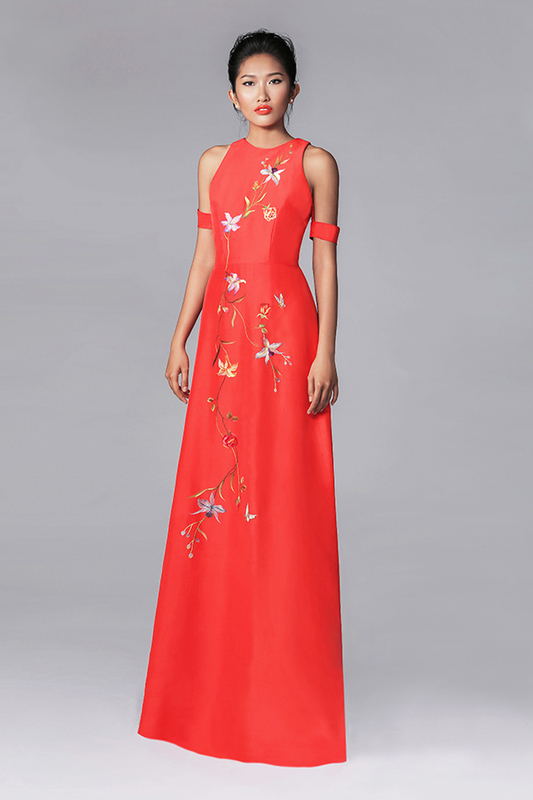 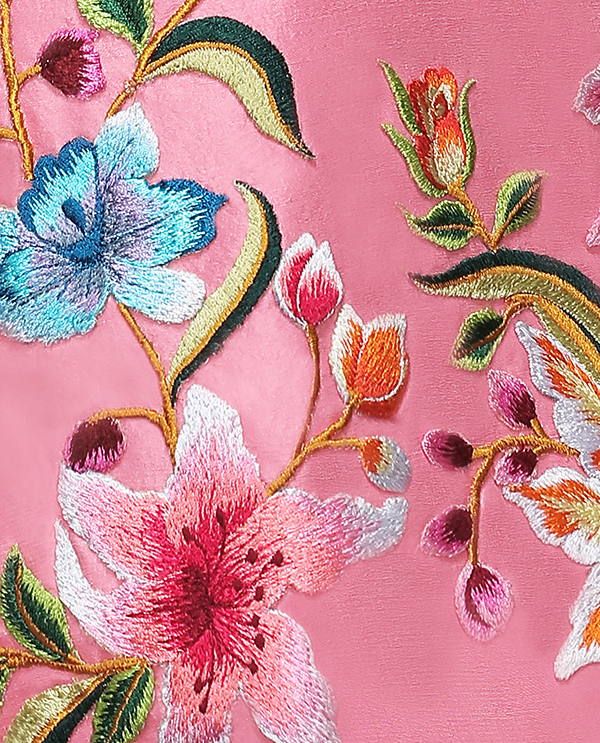 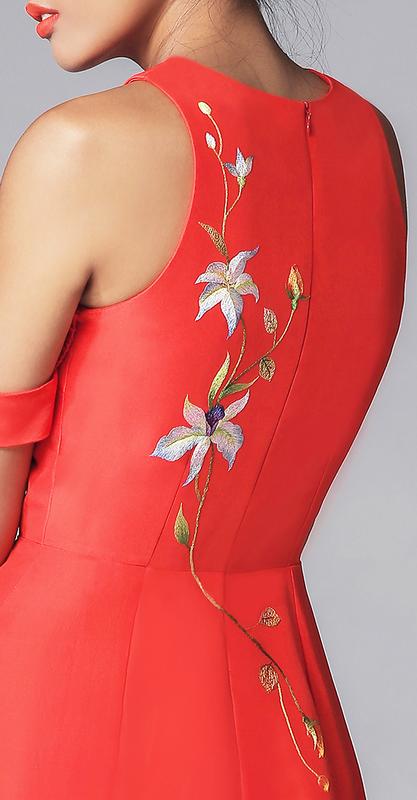 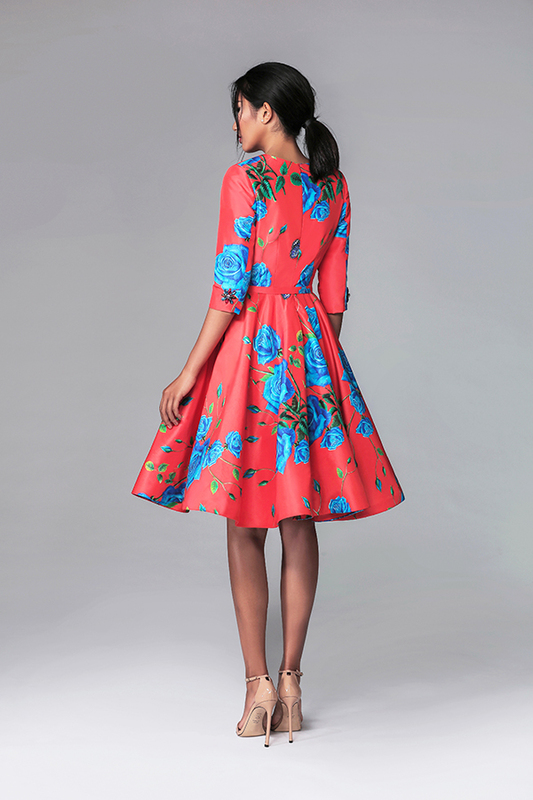 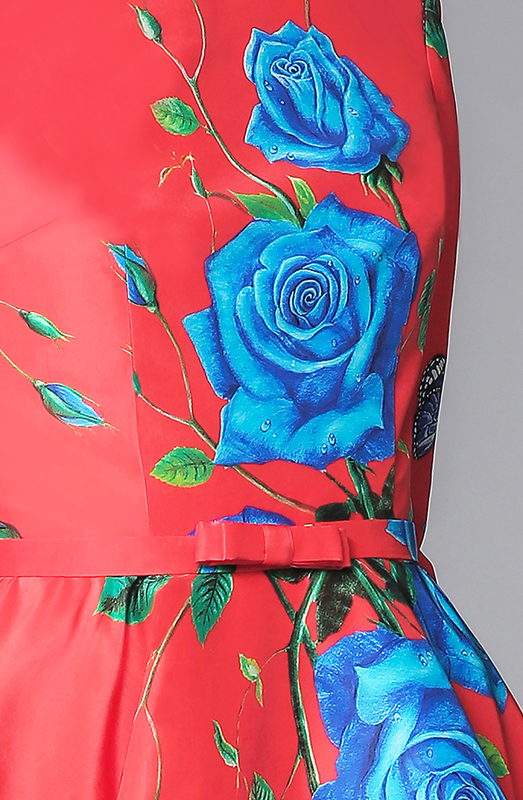 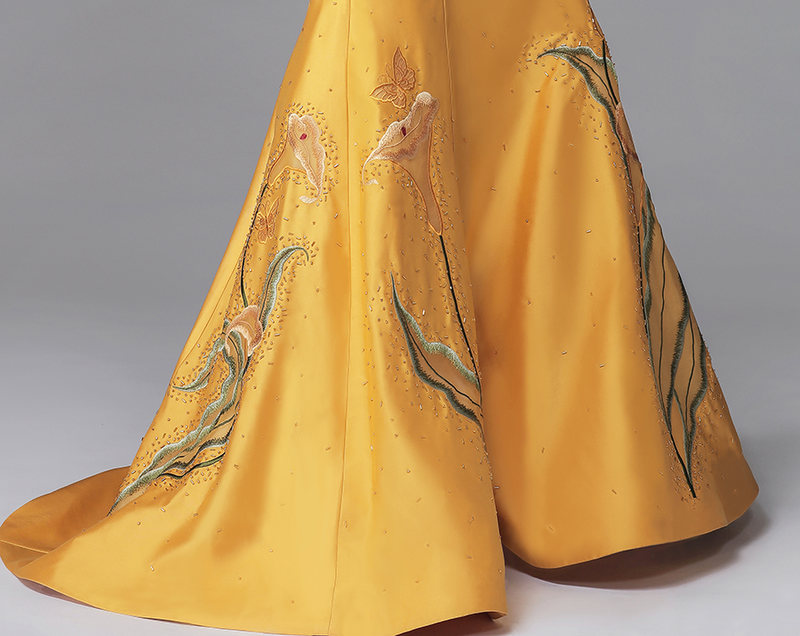 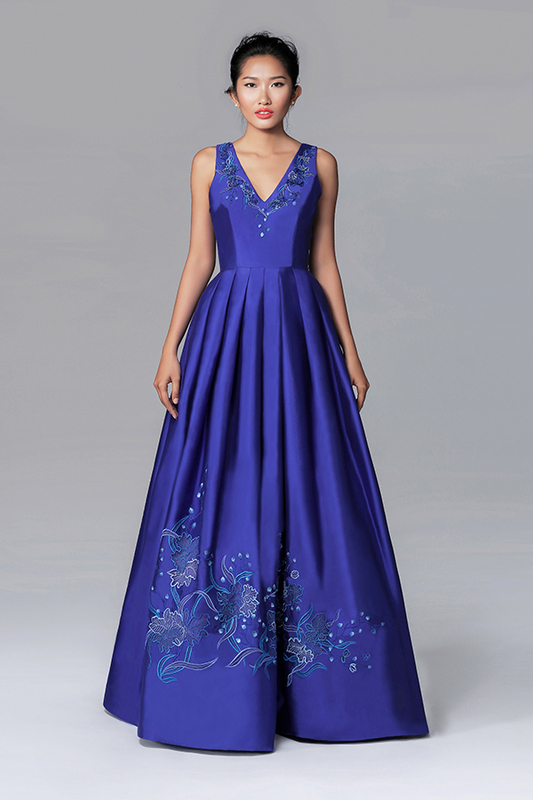 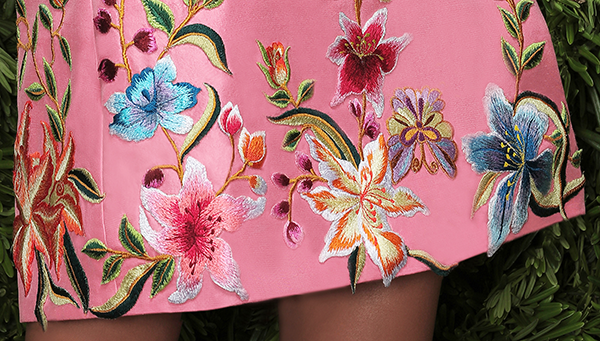 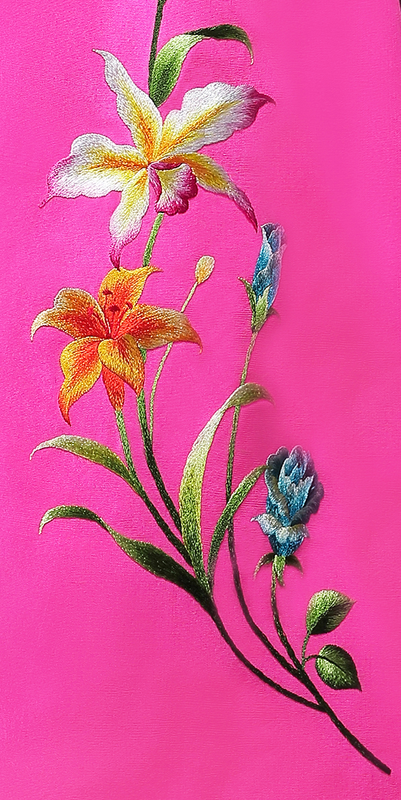 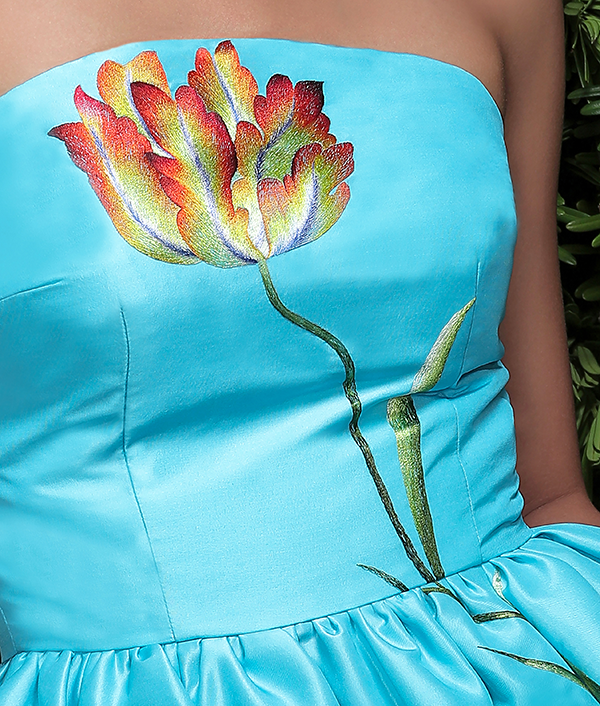 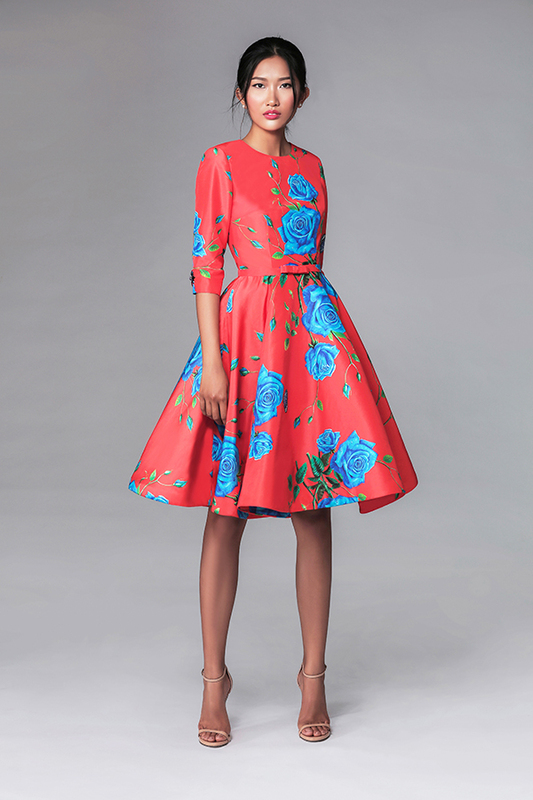 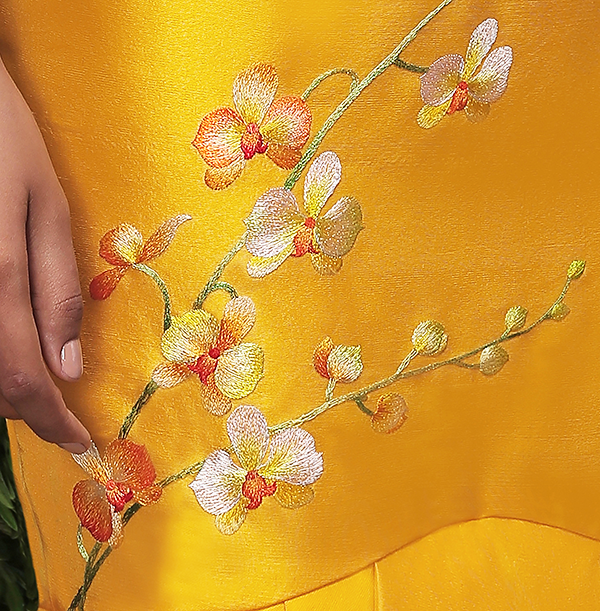 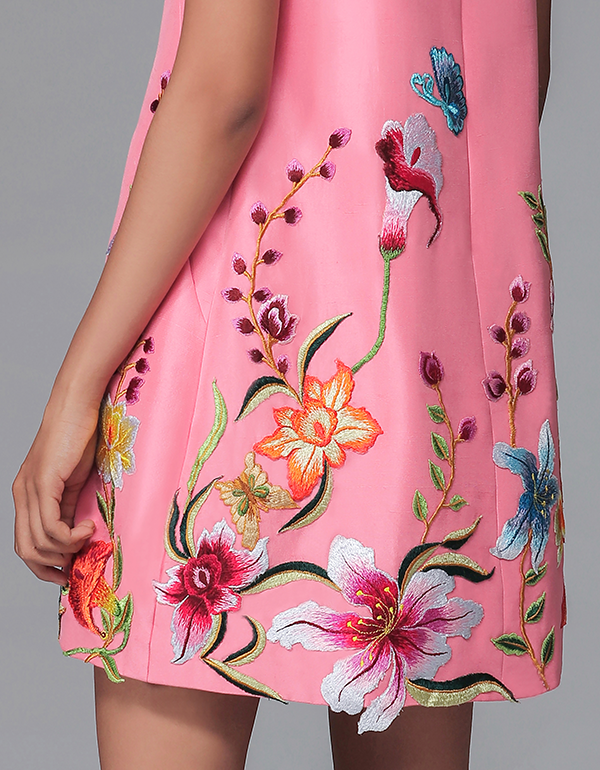 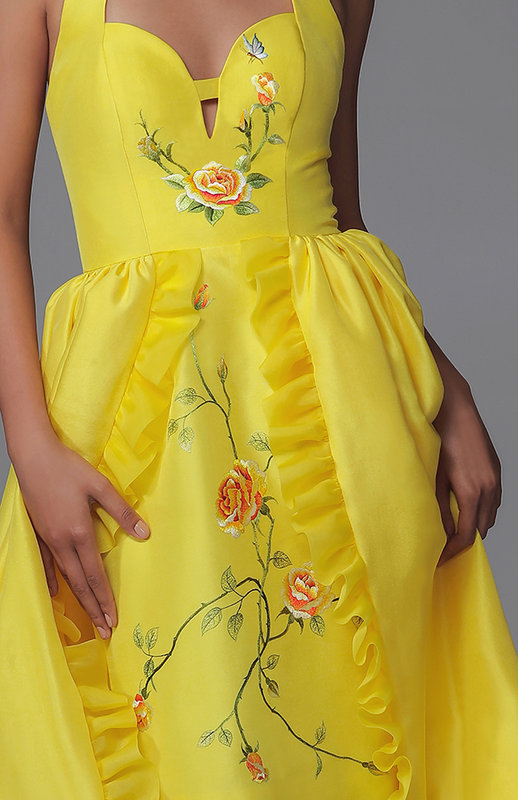 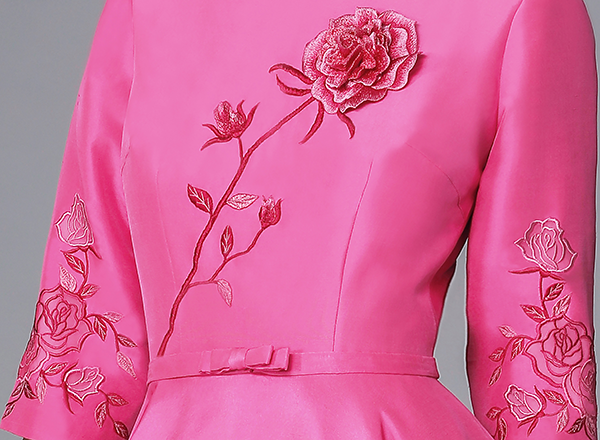 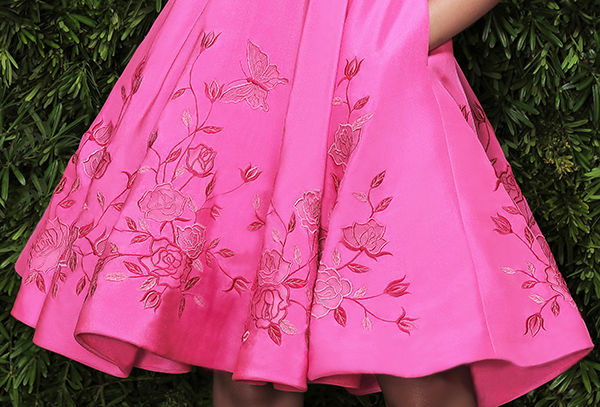 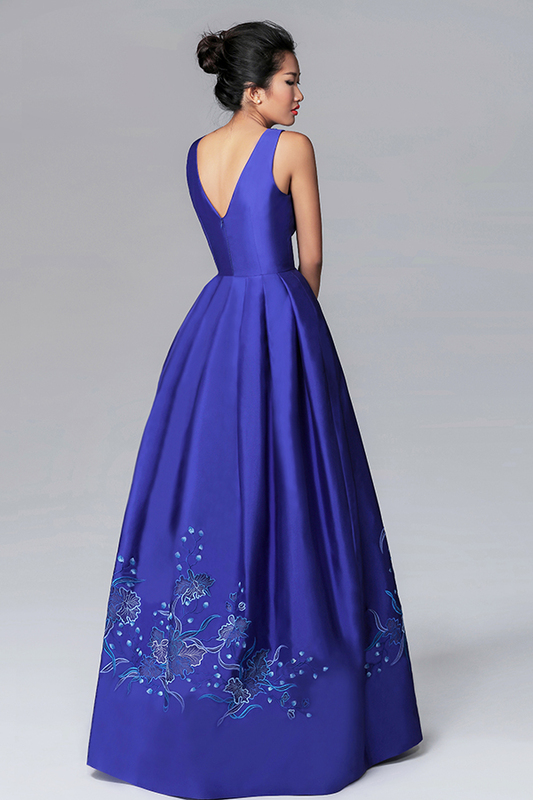 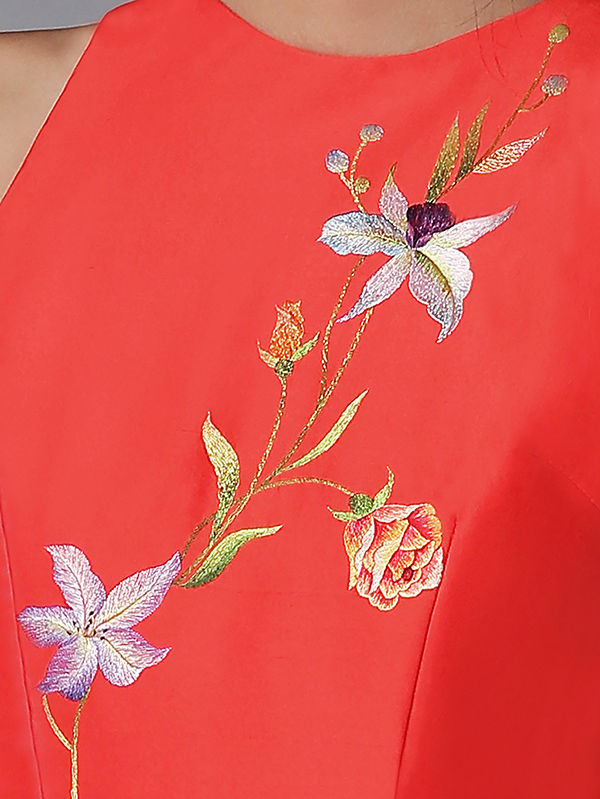 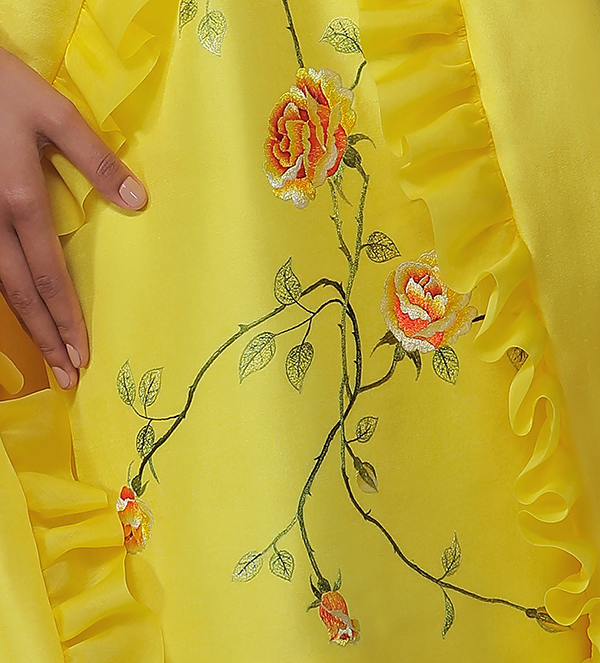 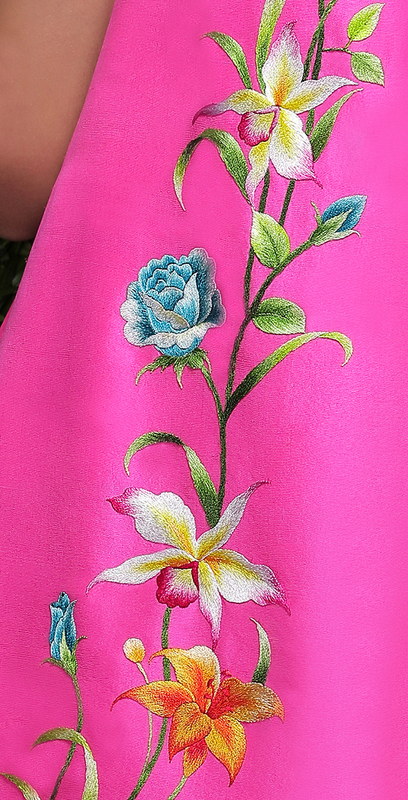 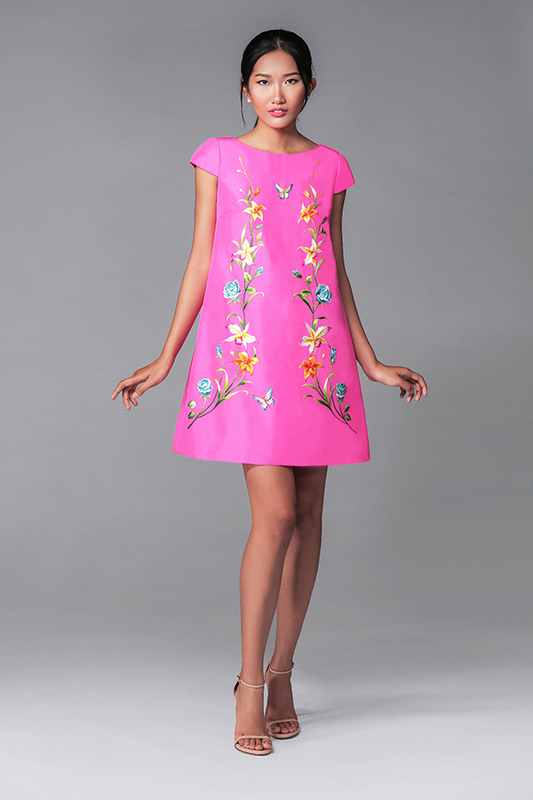 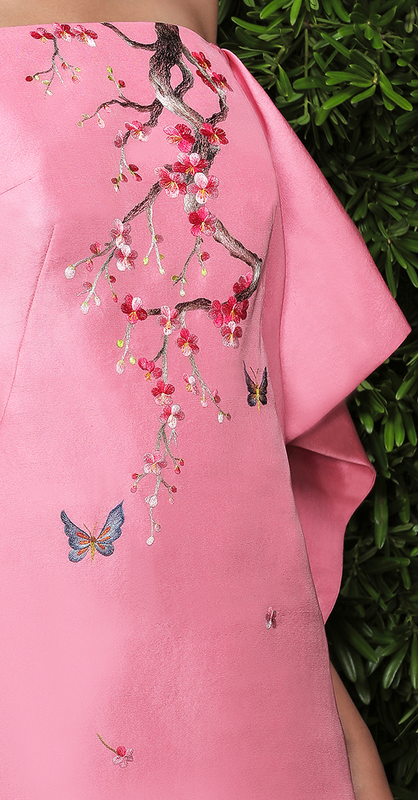 The embroidery was performed both by hand and machine and then applied by hand to the silk fabrics in bold hues. 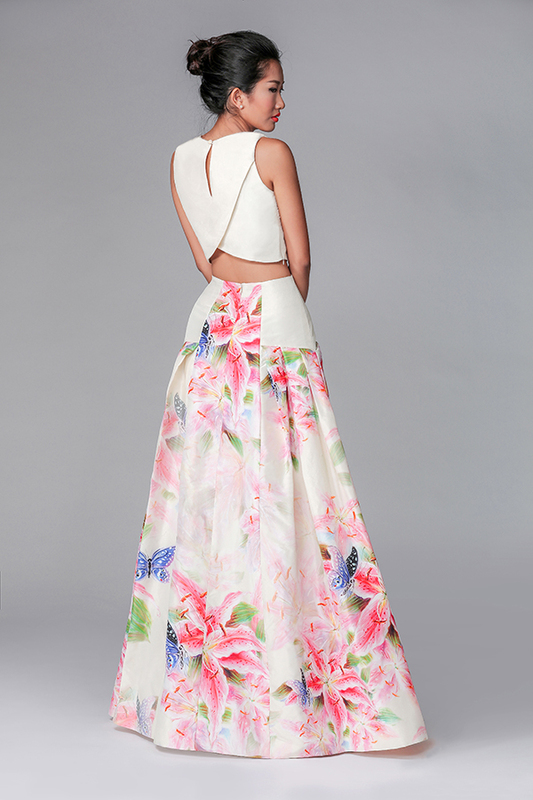 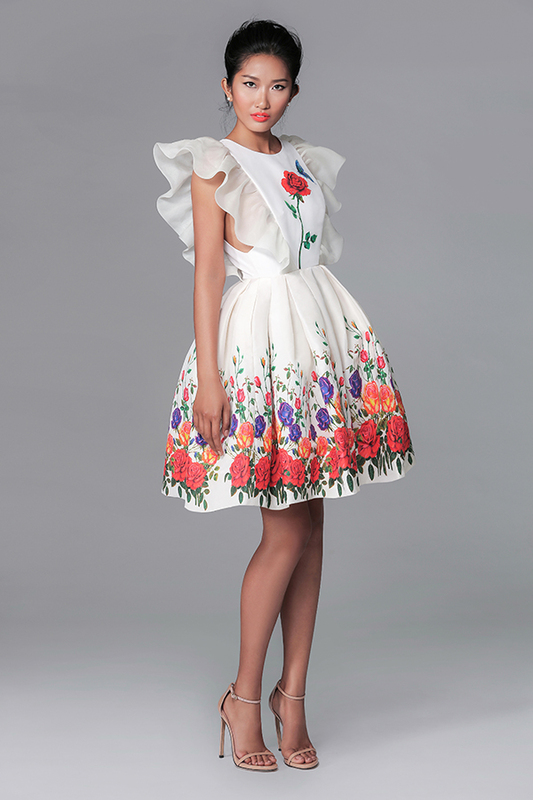 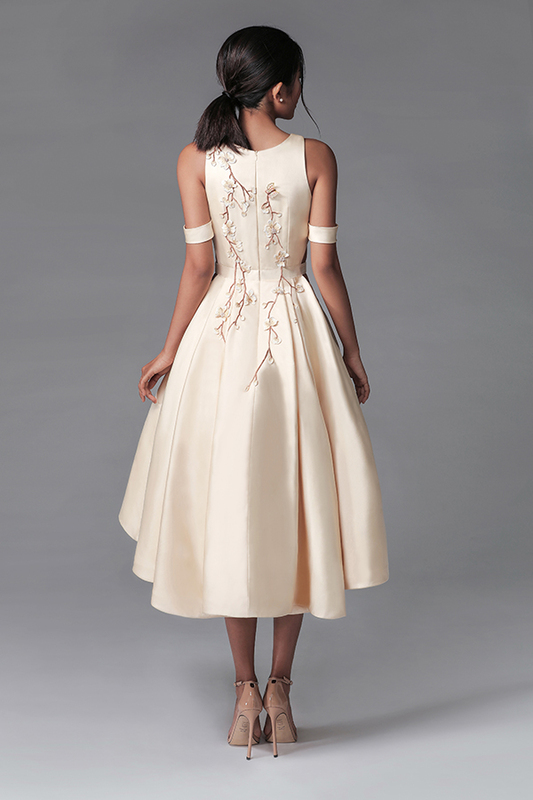 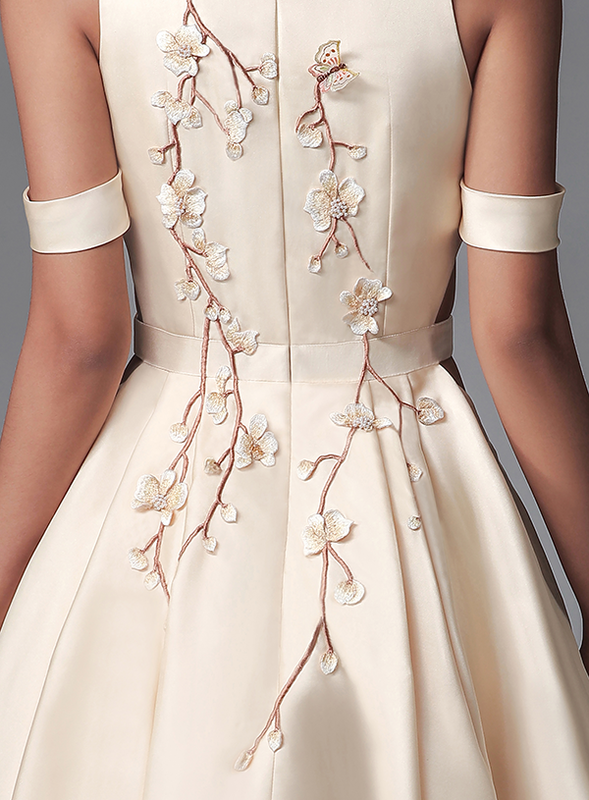 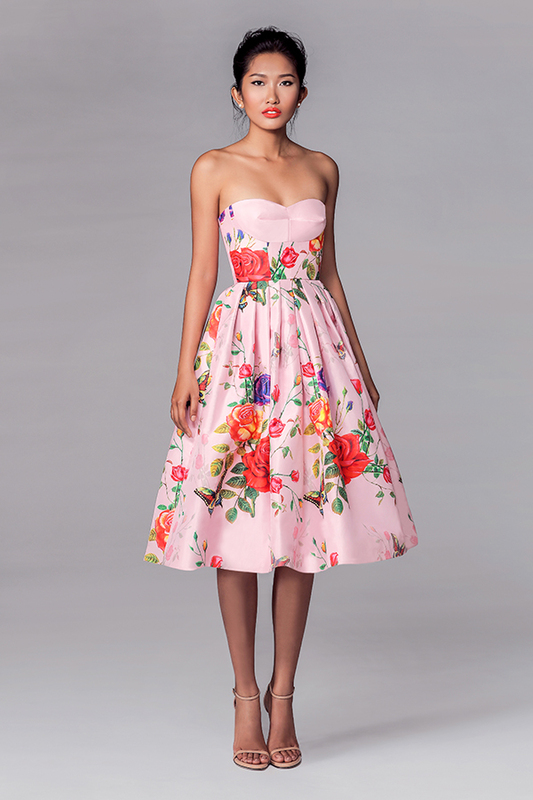 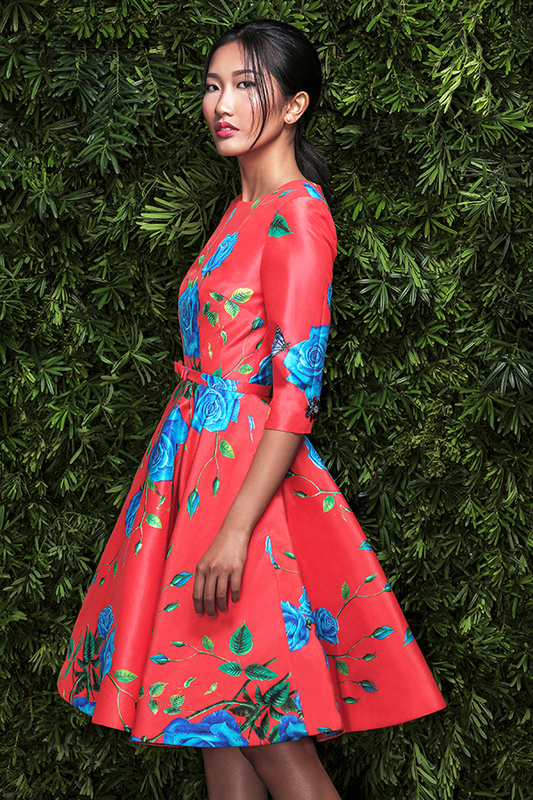 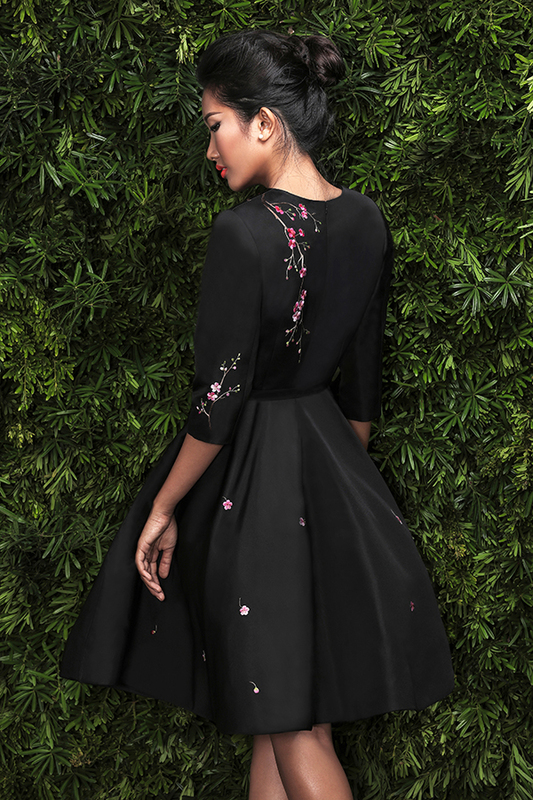 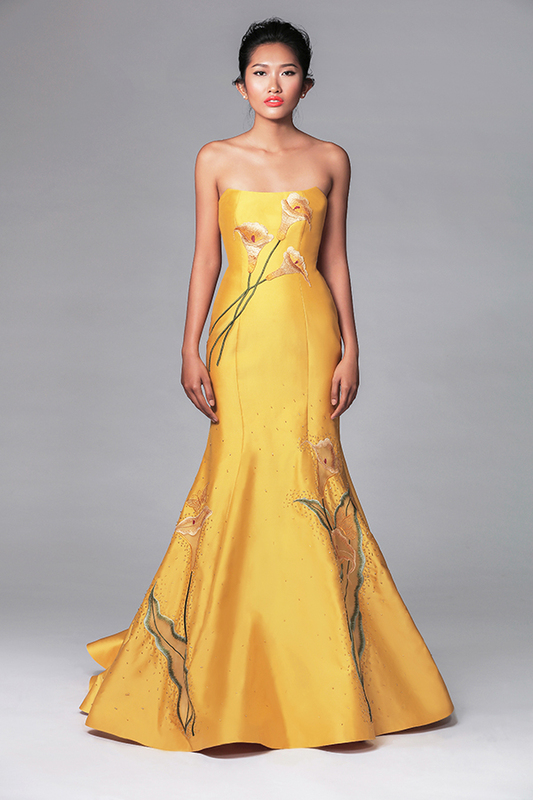 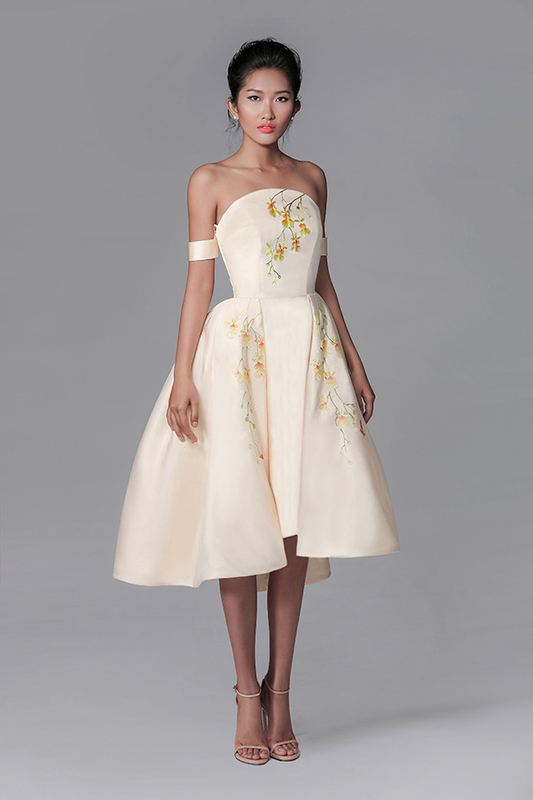 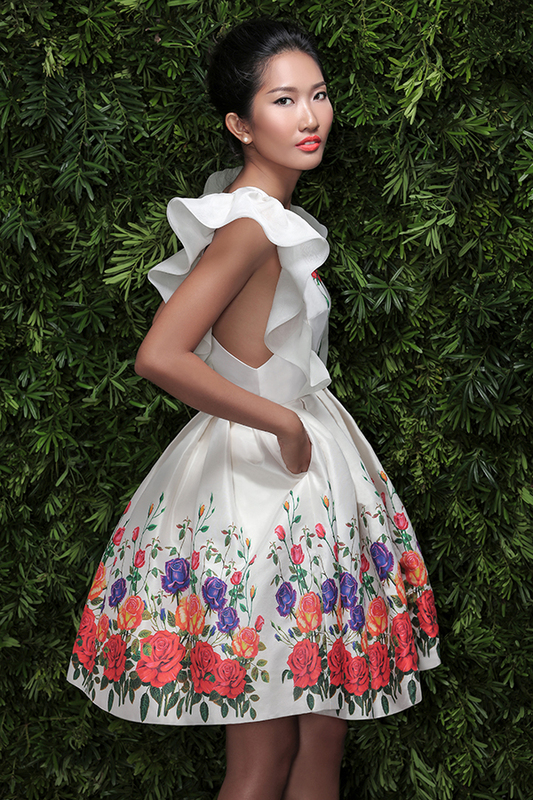 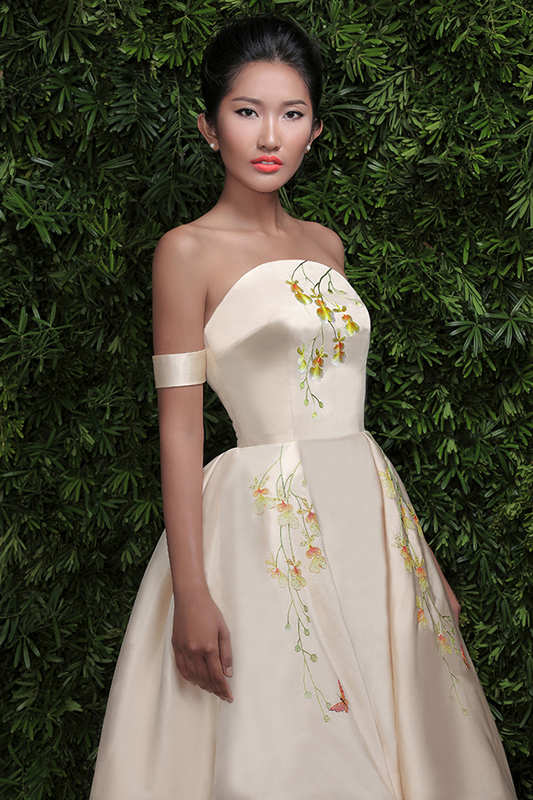 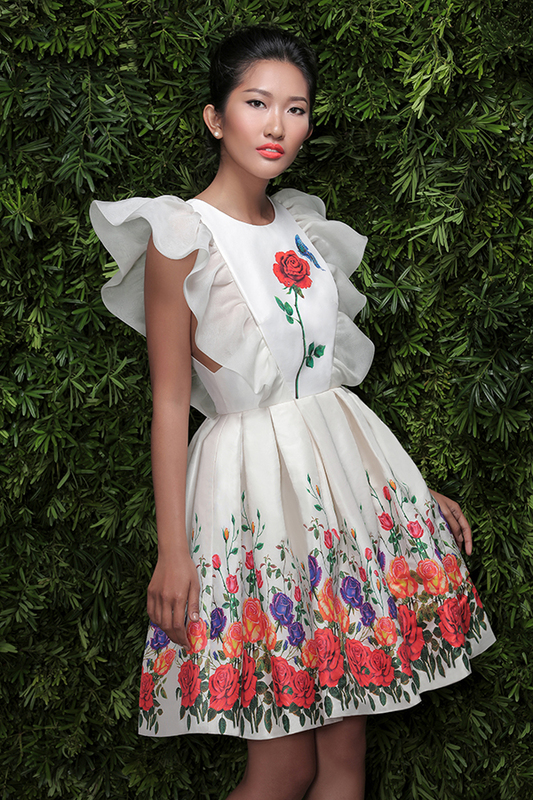 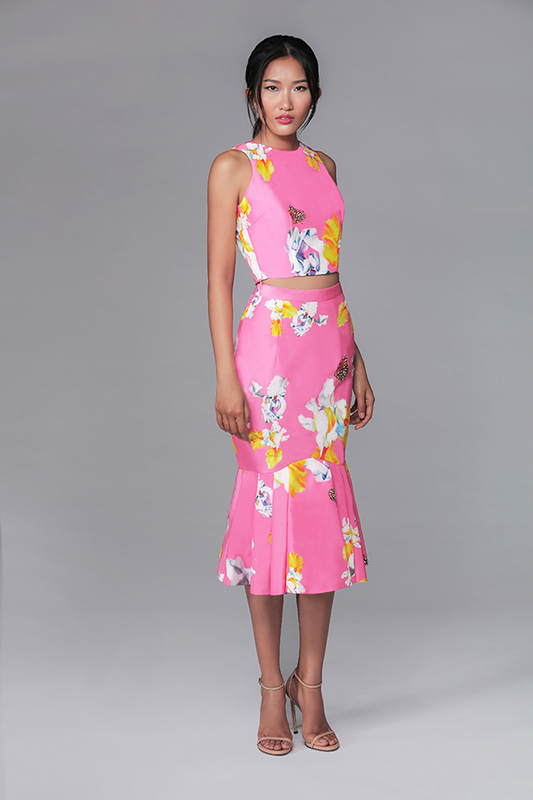 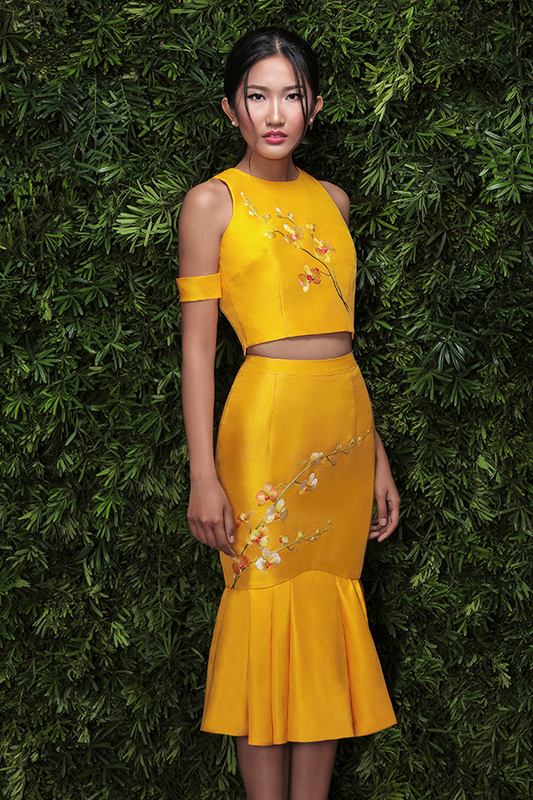 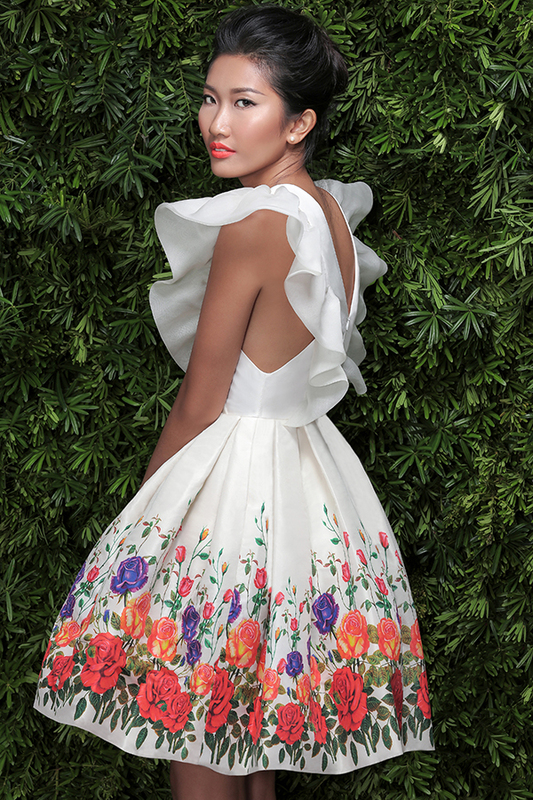 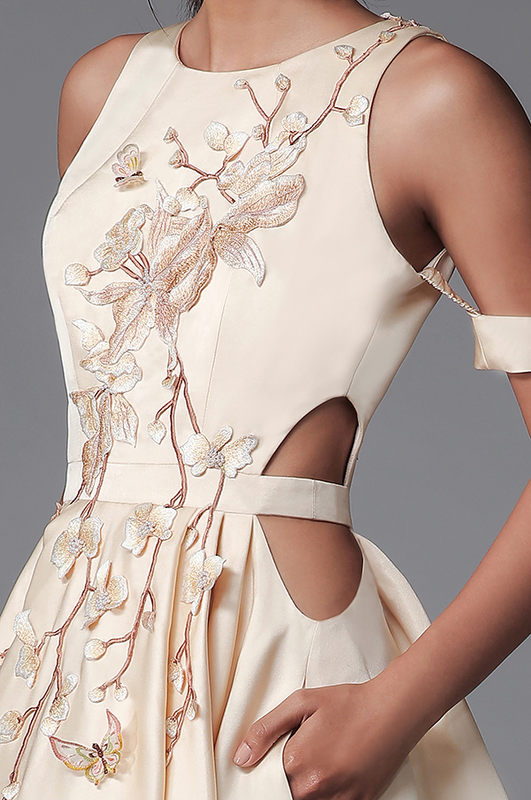 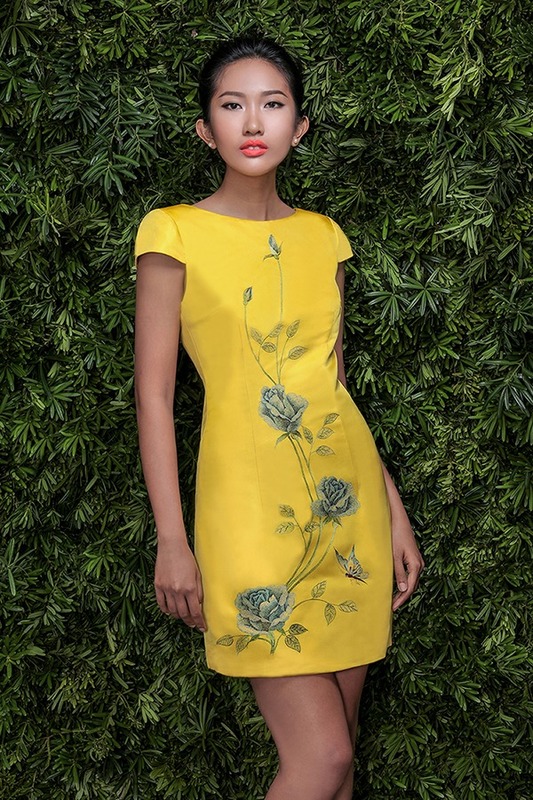 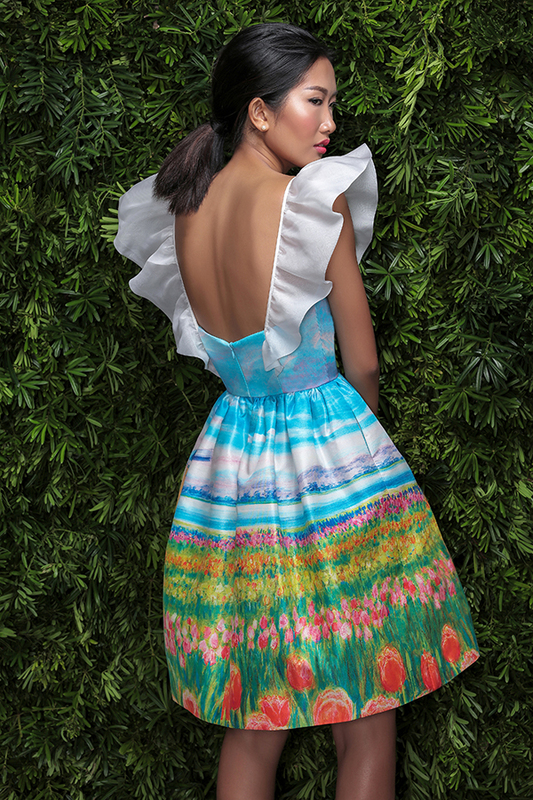 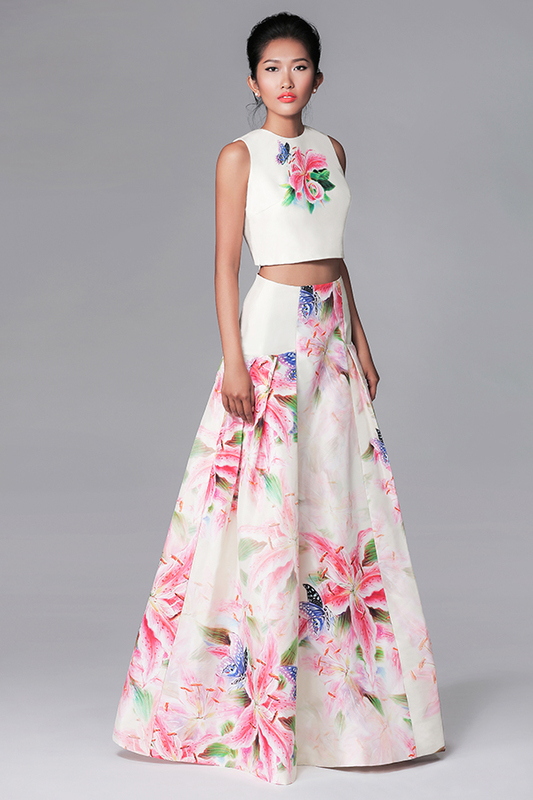 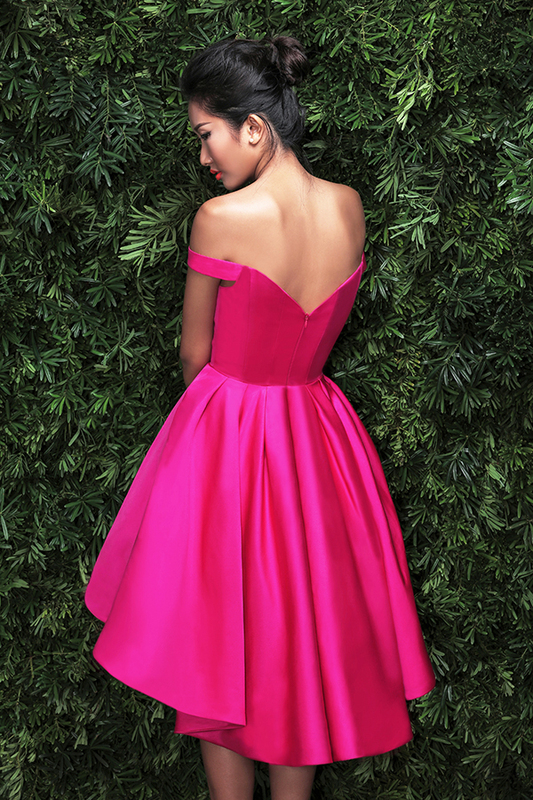 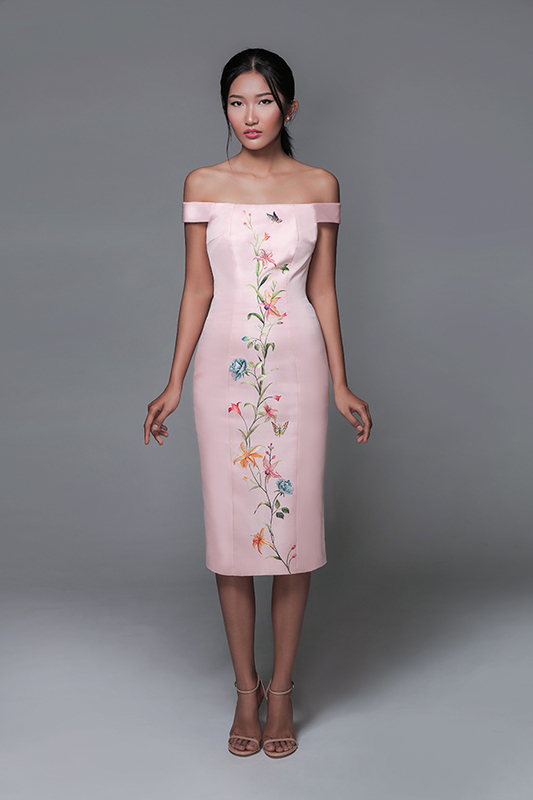 These meticulous efforts thoroughly capture the essence of the Nancy Tran collection. 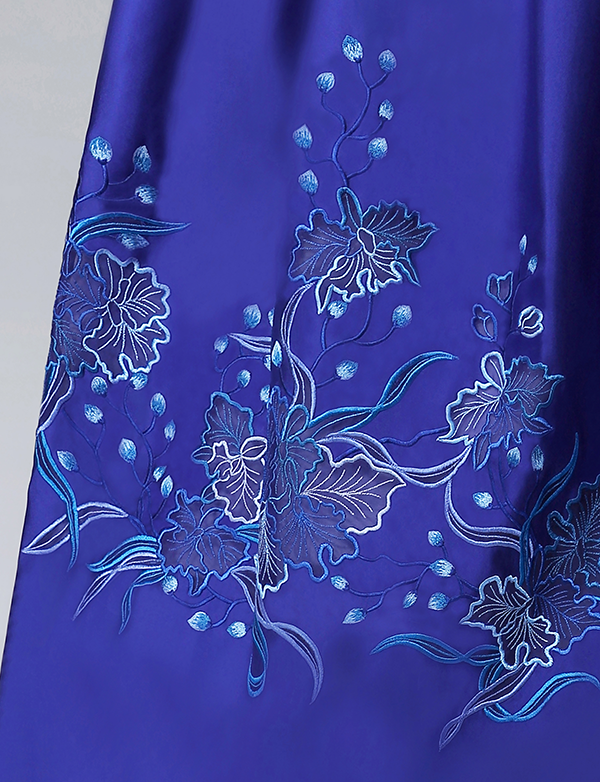 The wearer is delighted to experience appealing shapes, vibrant colors, and rich textures. 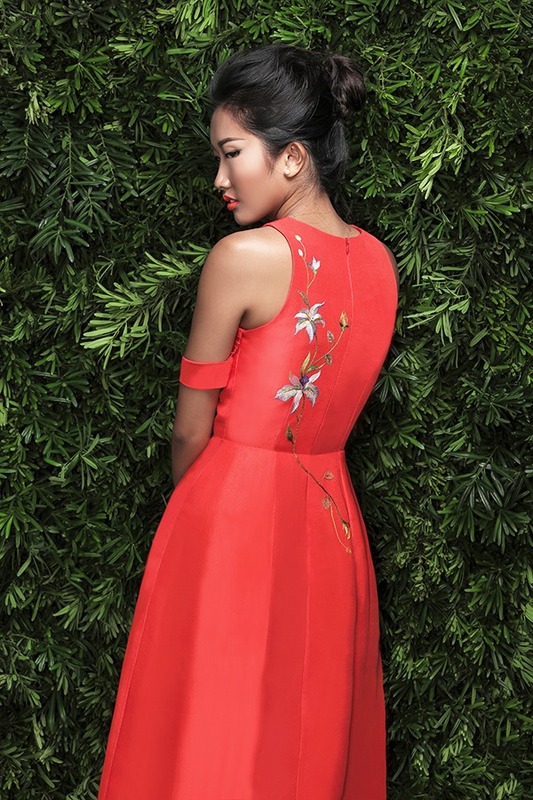 In addition to conveying her high standards of construction and fit, Nancy Tran has created a collection that is truly beautiful and timeless.